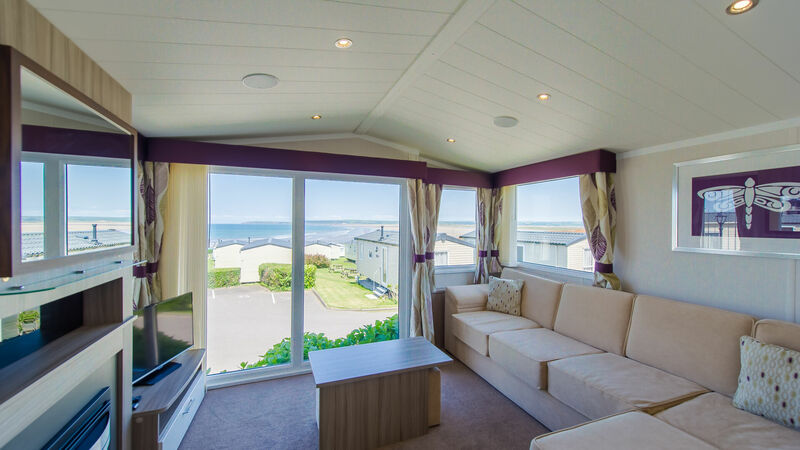 Beachside Static Caravans for Self Catering in Westward Ho! 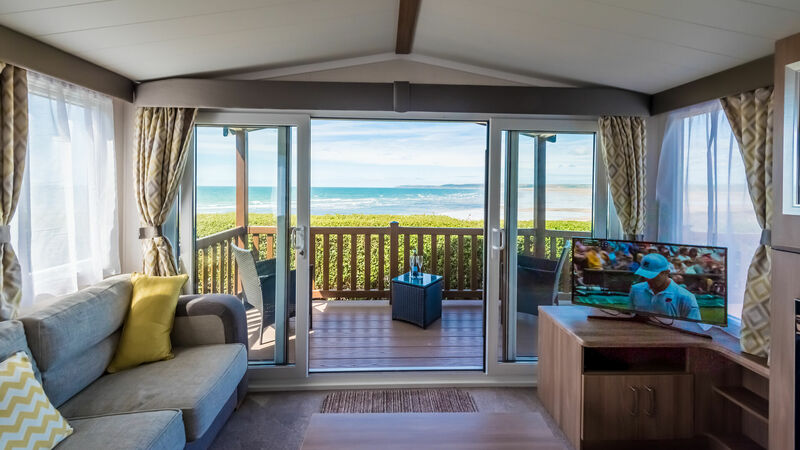 Beachside Holiday Park has a great range of static caravans to choose from if you are looking for a caravan holiday in Westward Ho! 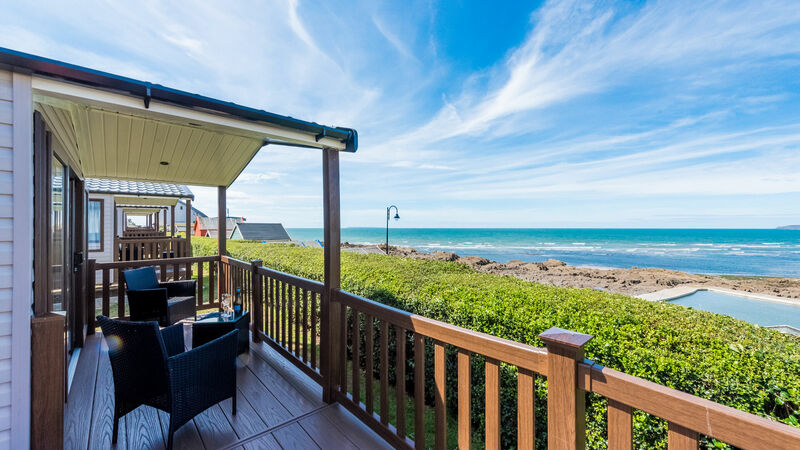 North Devon. 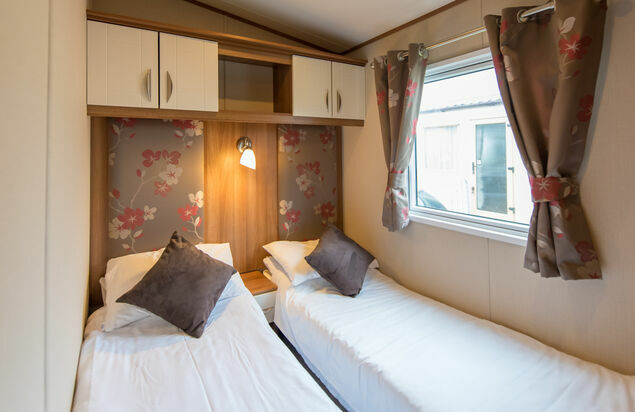 In a range of sizes, our caravan range offers two or three bedrooms to suit different family sizes along with dog friendly static caravans for hire. 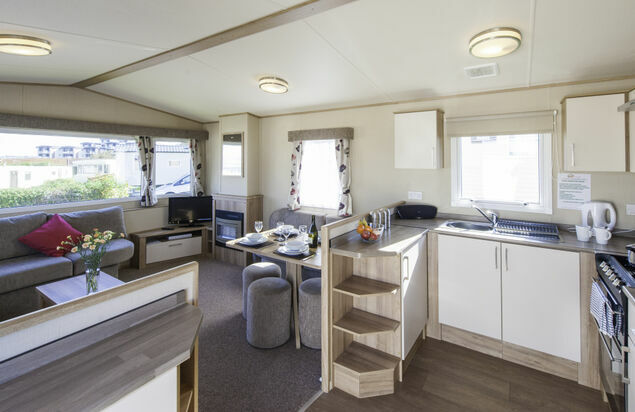 There are also static caravans that boast a range of modern facilities and some now have their own hot tub within the decking surrounding the caravan. 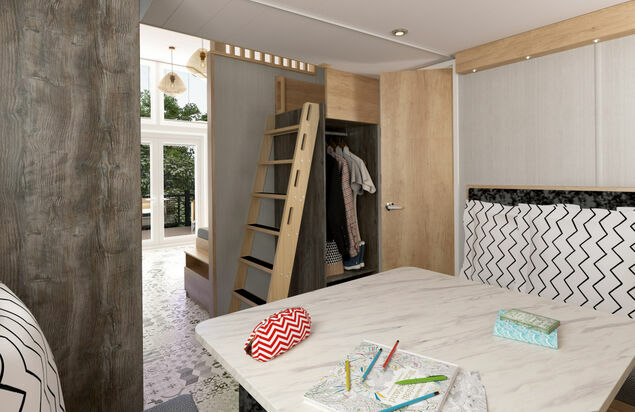 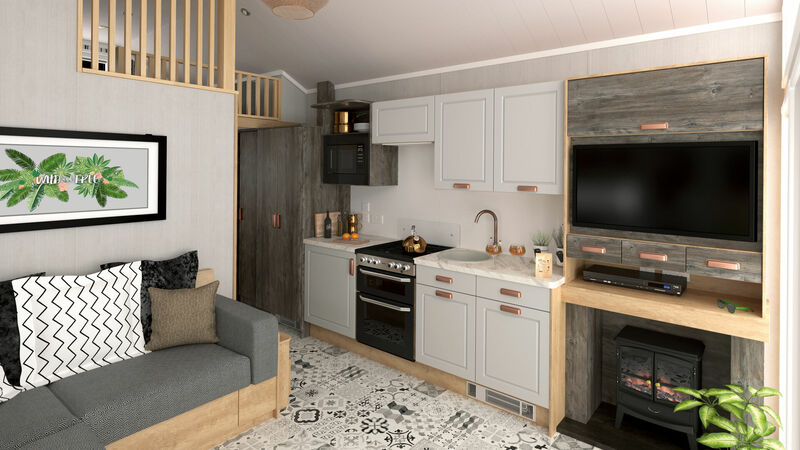 Our brand new Curlew Plus pods are quirky, contemporary and a fantastic addition to the park for the 2019 season. 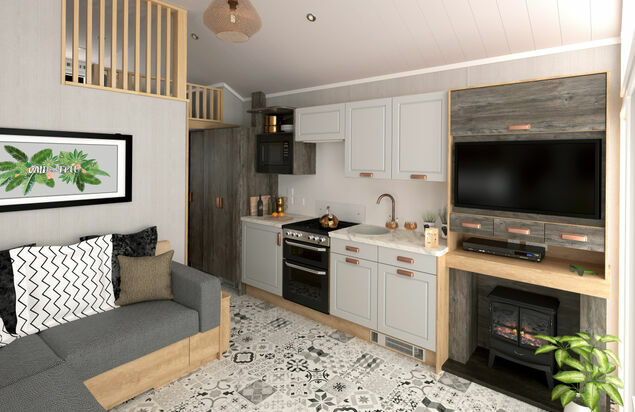 These terrific pods can comfortably accommodate a family of four and come complete with all of the home comforts that you would expect in a modern holiday home including double glazing and central heating. 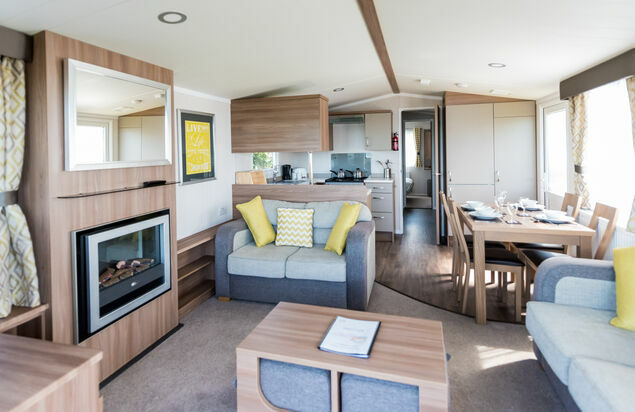 The Curlew Plus is perfect for those of you that are looking for something that is just that little bit different. 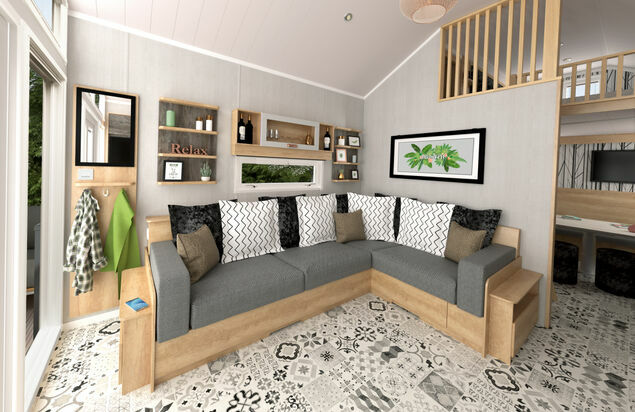 The living area is open plan and is tastefully decorated in hues of black, grey and brown. 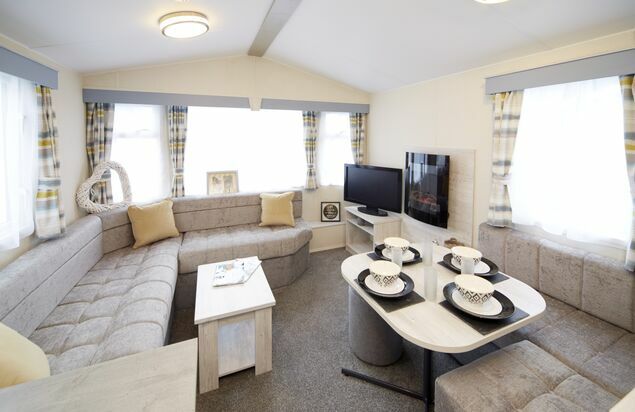 There is also a stylish seating area where you can snuggle up in front of the fire and watch a film. 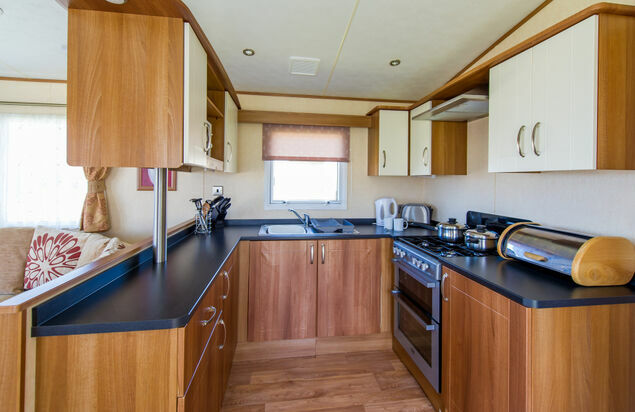 The kitchen area is well equipped and leads through to the dining area where there is a dining table with bench style seating, drum stools and TV. 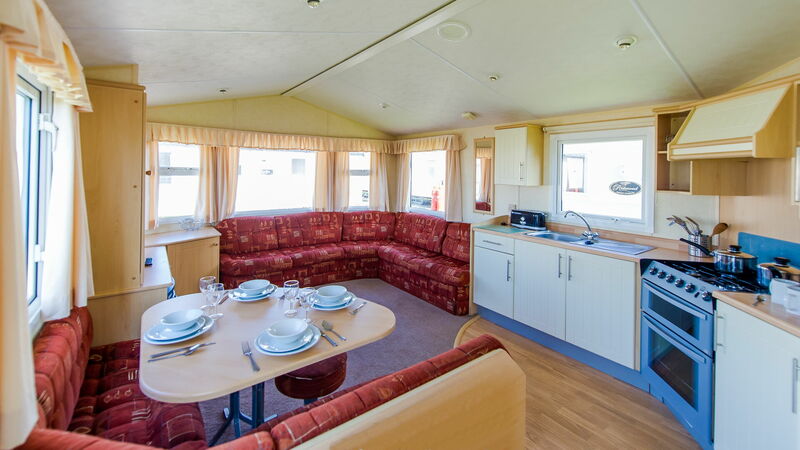 The living/dining area can also be converted into a double bed. 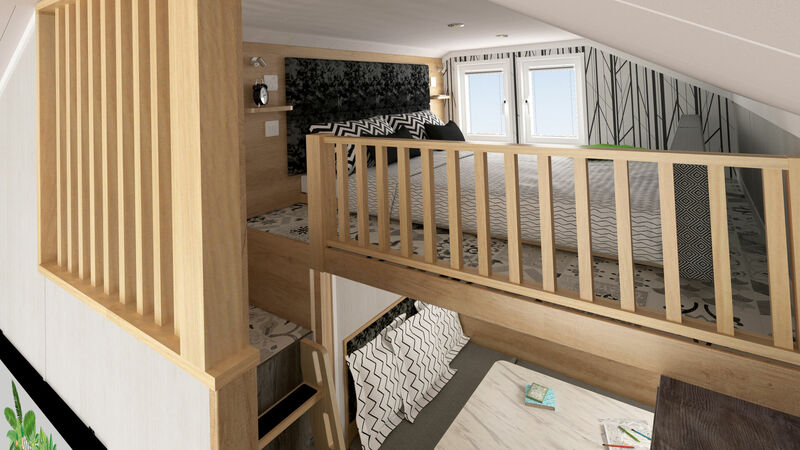 Between the kitchen and dining area you will find a small ladder* which leads to the mezzanine which provides you with a unique bunk room which sleeps two on twin beds that can be pushed together to make a double if required. 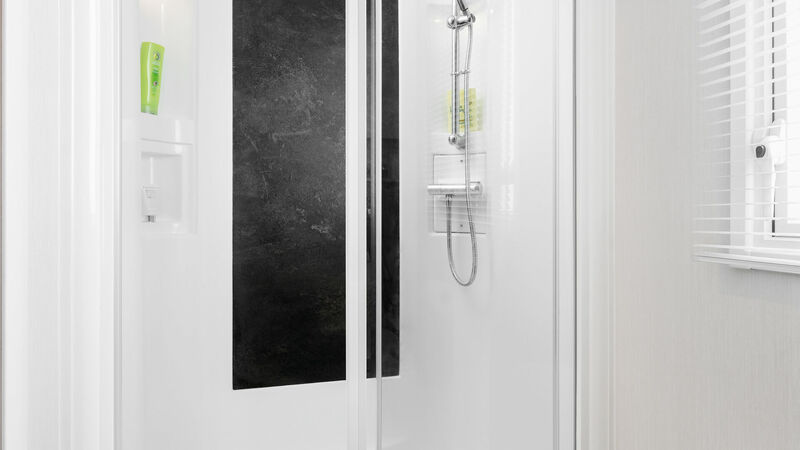 The shower room is situated just off of the dining area. 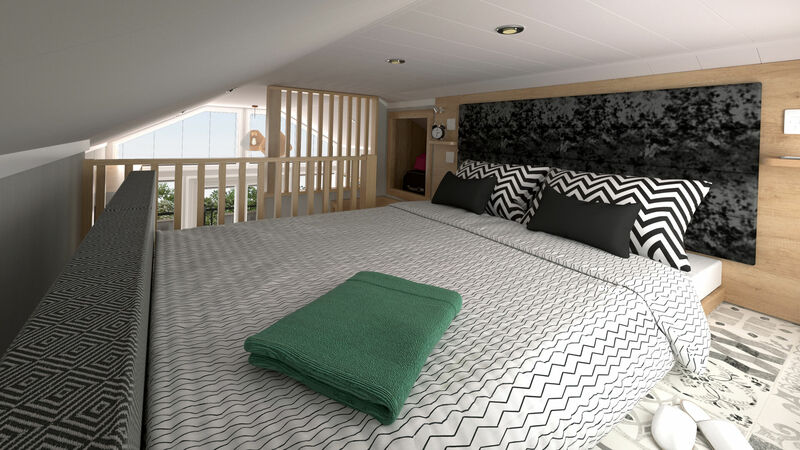 There is a private hot tub on the enclosed terrace accessed via french doors in the living area. 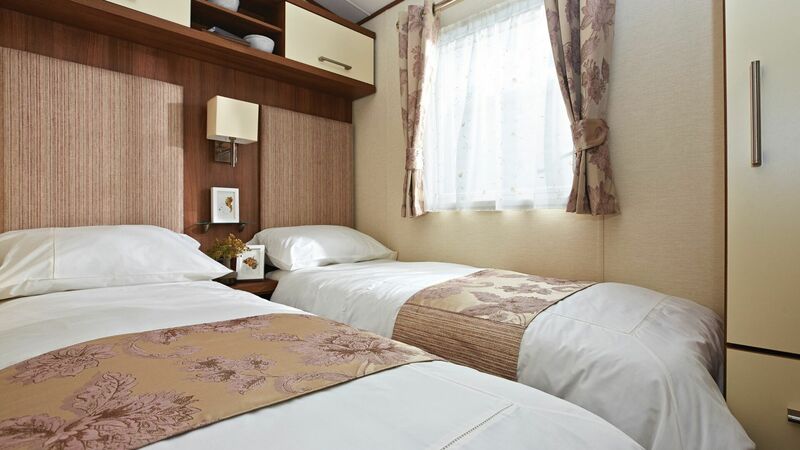 Pillows, duvets & bed linen are provided. 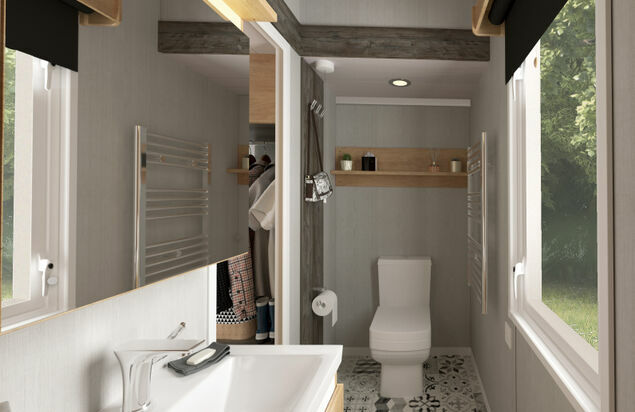 *Please ensure that those using the ladder are competent to do so. 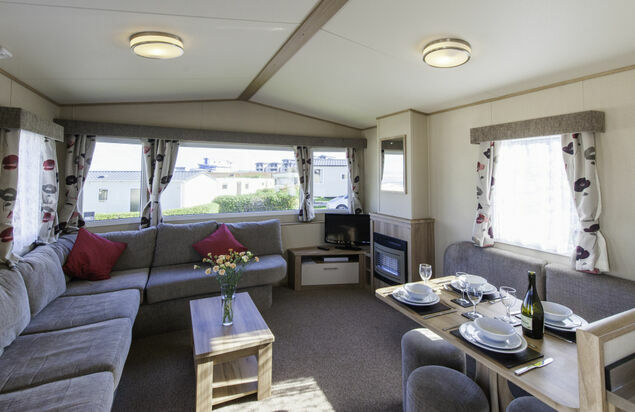 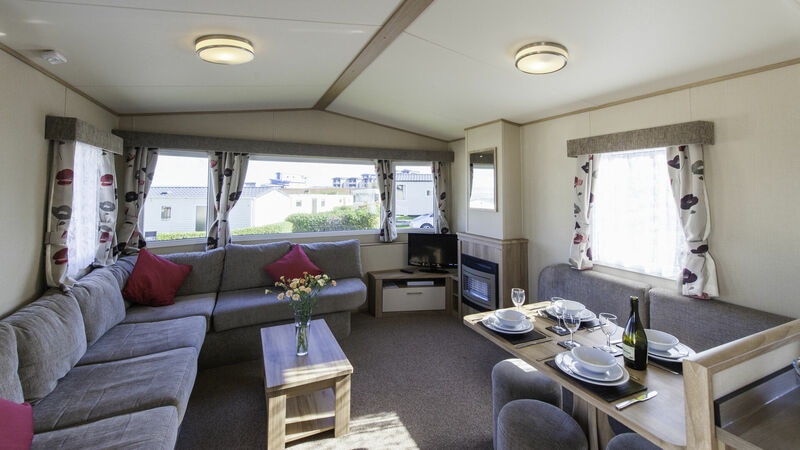 Our stylish centrally heated Puffin Plus holiday homes have fantastic seaviews and come with covered terraces where you can sit and watch the sunset. 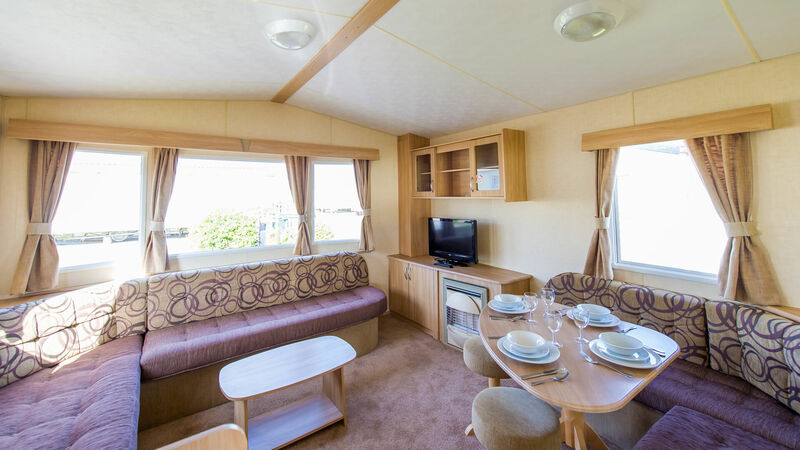 These delightful holiday caravans are modern and bright and boast a great open plan lounge/dining area. 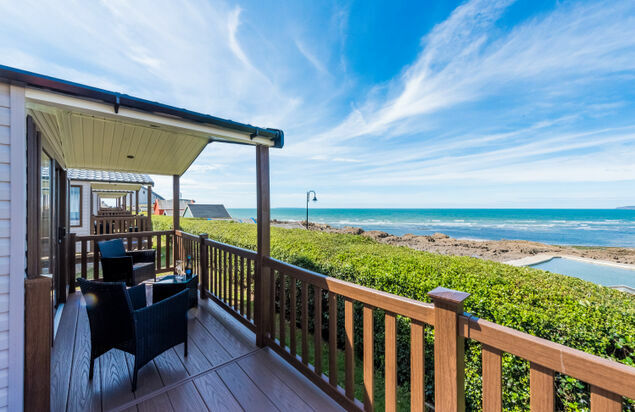 Here you can sit and enjoy a family meal, watch a spot of telly or listen to some of your favourite music whilst taking in fabulous views of the golden sandy beach of Westward Ho! 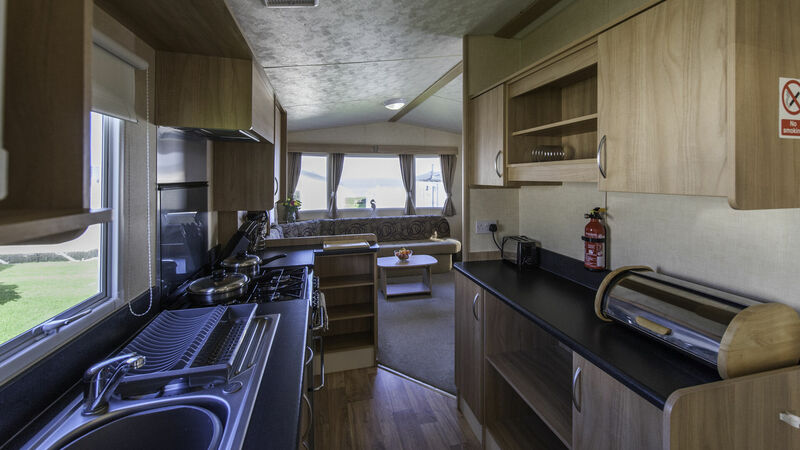 The kitchen has a range of modern units and has been equipped everything you would need to cook a delicious meal. 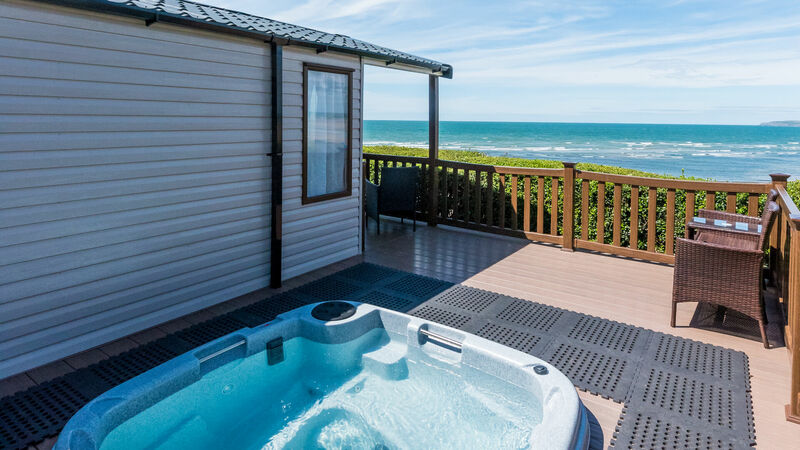 Step outside of the Puffin Plus and you can enjoy your own private covered terrace and a bubbling hot tub. 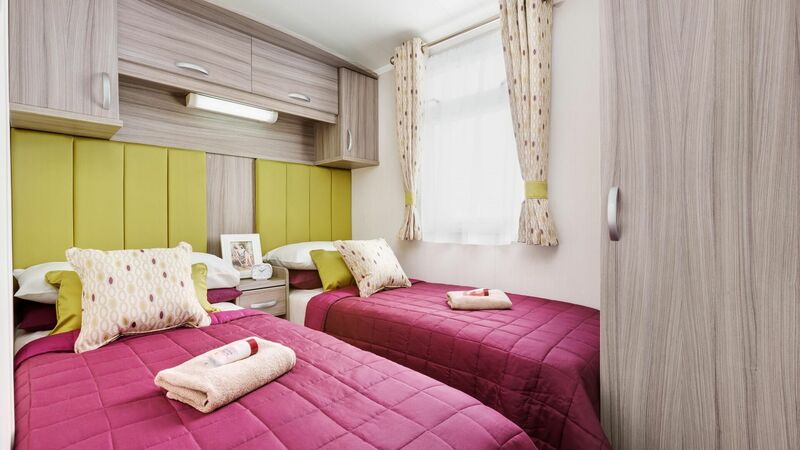 To the rear of the caravan is the double bedroom with ensuite WC and twin bedroom. 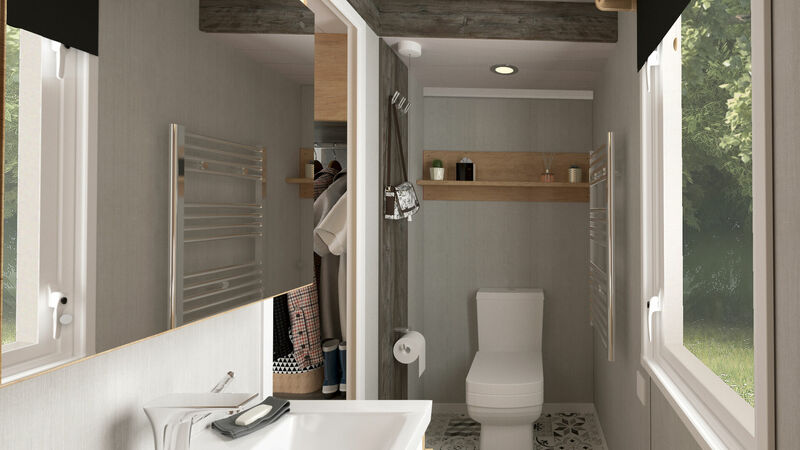 There is a family shower room which has a modern shower cubicle, hand basin and WC. 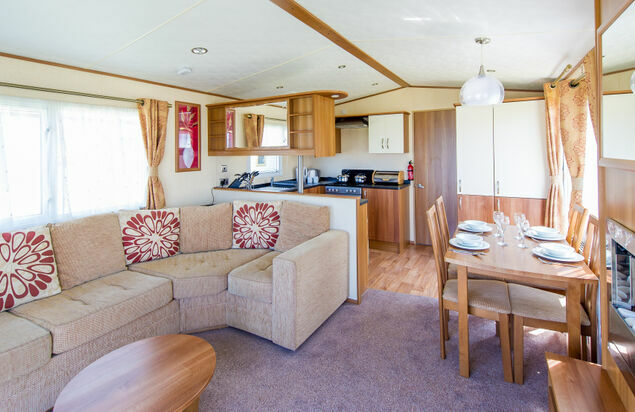 Our centrally heated Swan 32 accommodation are one of our bestselling holiday homes, being well appointed and boasting modern fixtures and fittings as well as quality soft furnishings and having the added advantage of having a hot tub. 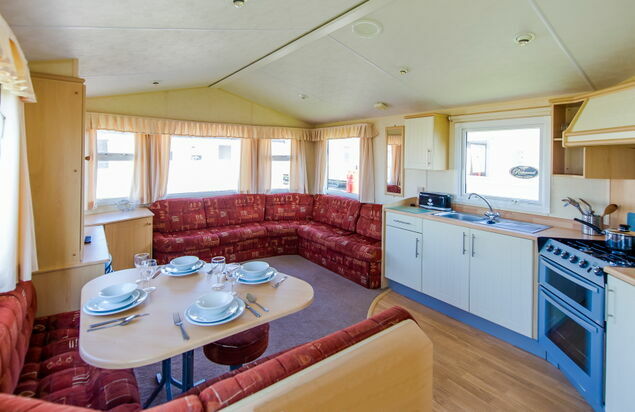 The open plan lounge/dining area is spacious providing plenty of room for you to relax and unwind. 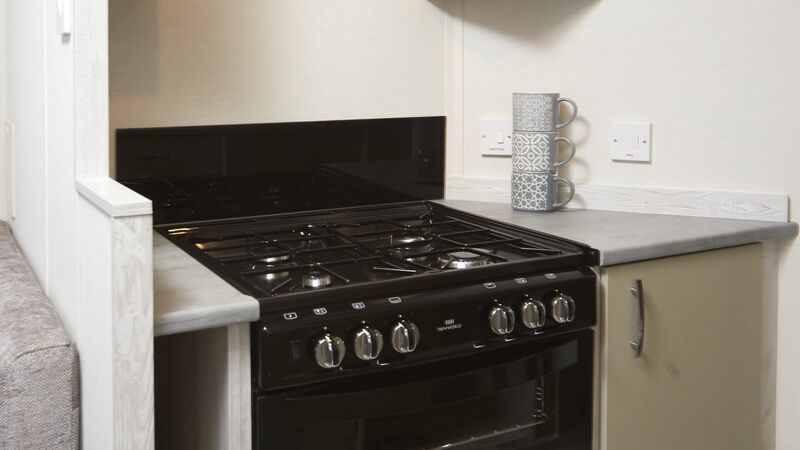 The kitchen area is adjacent to the dining area and offers everything you would expect in a modern kitchen including microwave, utensils and crockery. 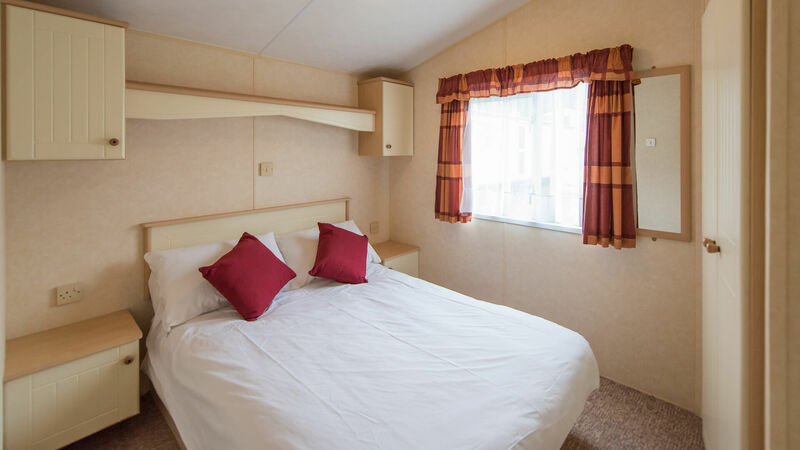 There are two bedrooms in our Swan 32“s, there is a double bedroom with ensuite WC and a twin bedroom. 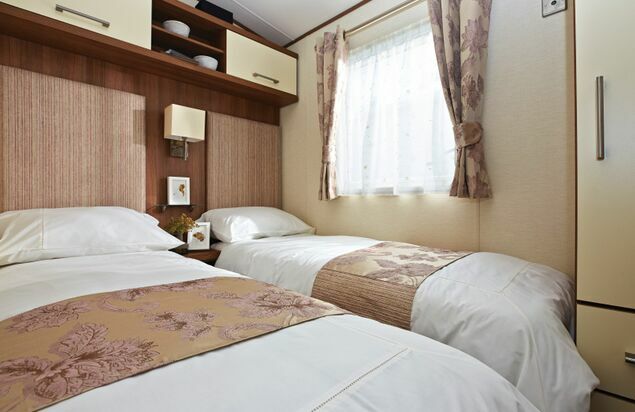 Pillows, duvets and bed linen are provided. 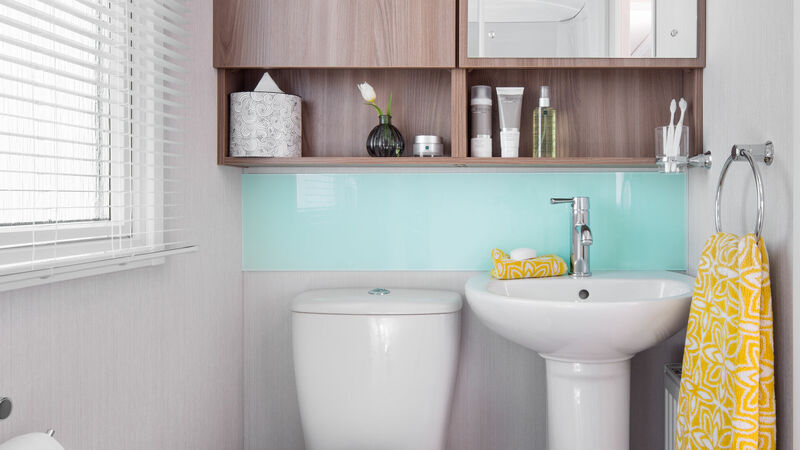 The family shower room is clean and bright. 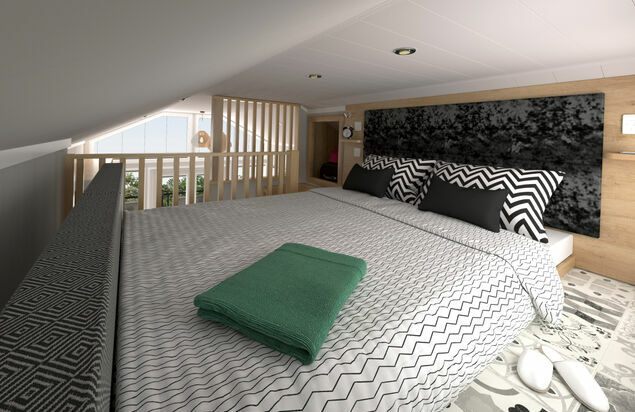 The hot tub is located in a secluded position on your own private terrace to the side of the Swan 32. 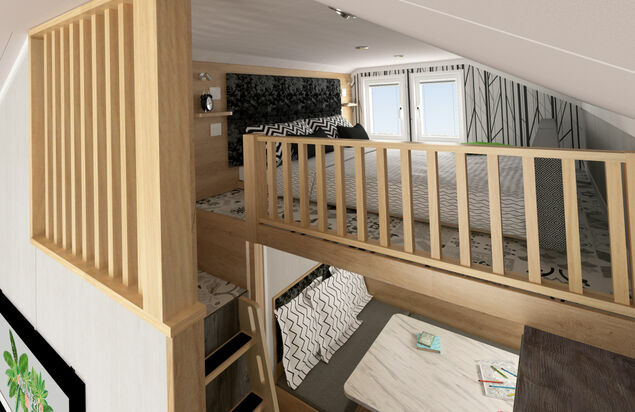 Our Swan 37 holiday homes are top of the range with a modern and stylish interior and a host of features that make it a firm favourite with families and couples alike. 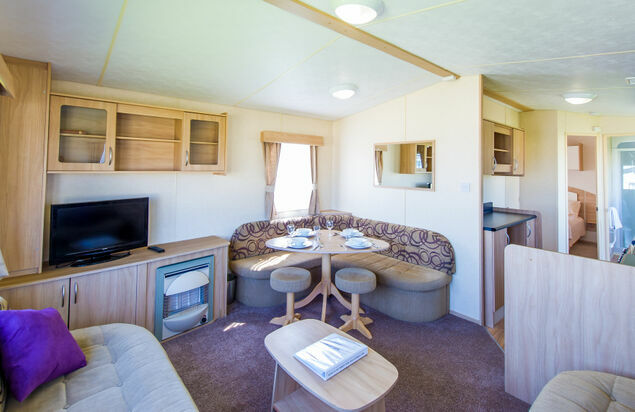 These centrally heated caravans offer a great open plan lounge/diner/kitchen, complete with feature fireplace, TV & DVD Player and wireless speaker dock. 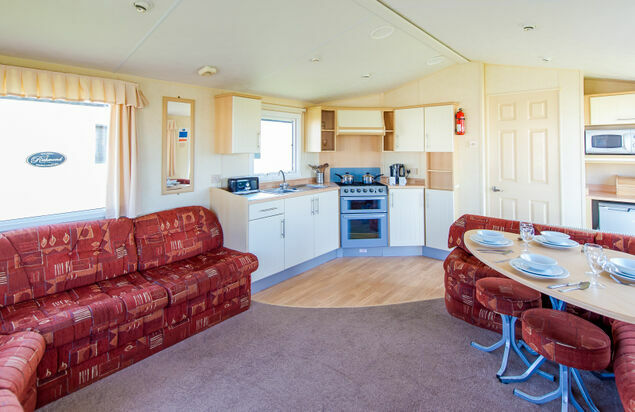 The well equipped kitchen/diner provides you with a real home from home cooking area and include a cooker & fridge freezer, toaster, microwave & dishwasher not to mention plenty of utensils and crockery. 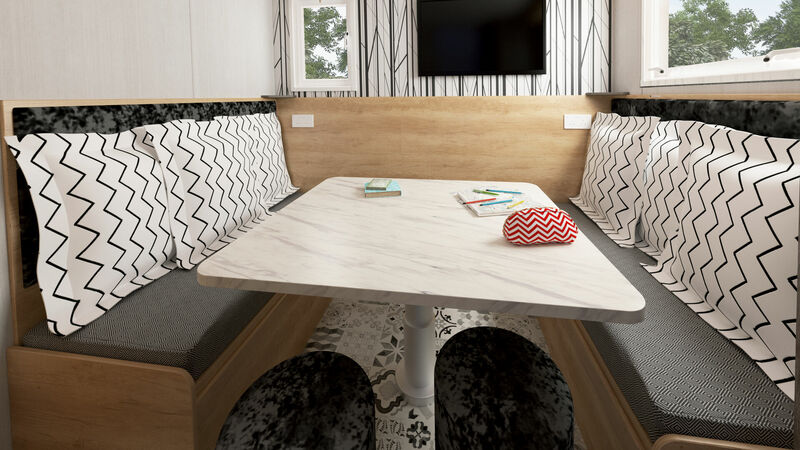 The dining area comfortably seats 6 people around the dining table. 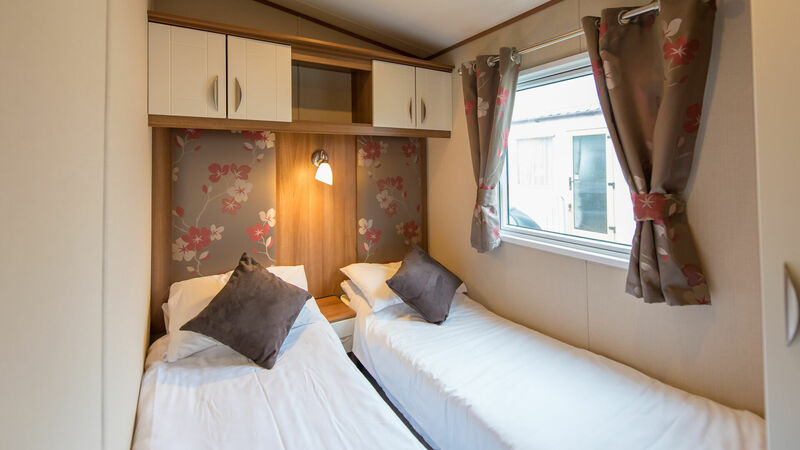 To the rear of the caravan are a twin bedroom & a double bedroom with ensuite bathroom. 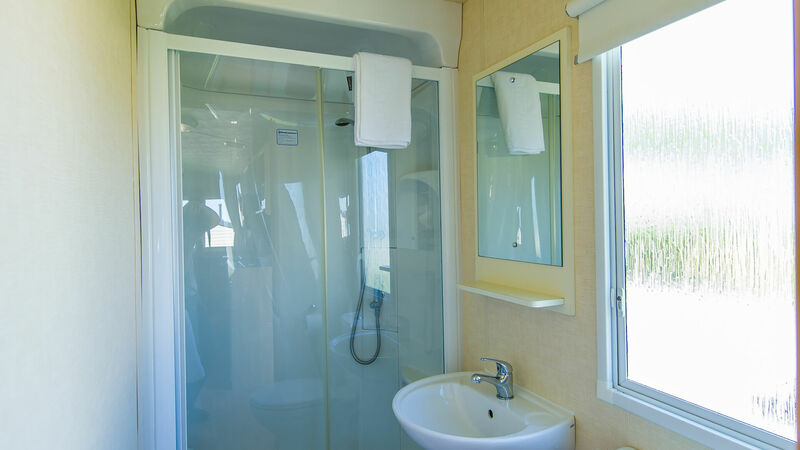 There is also a second shower room which has a spacious shower cubicle, WC and wash hand basin. 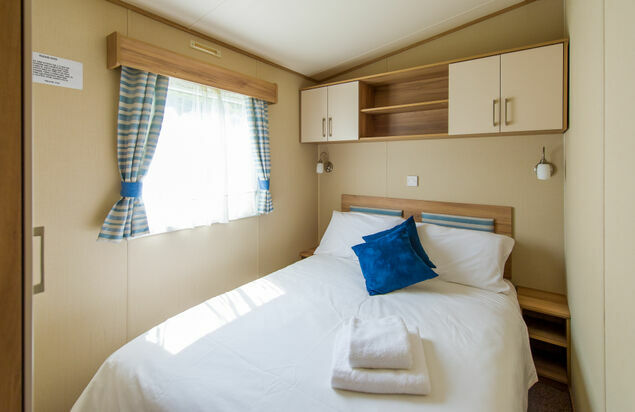 Pillows, duvets and bed linen are supplied. 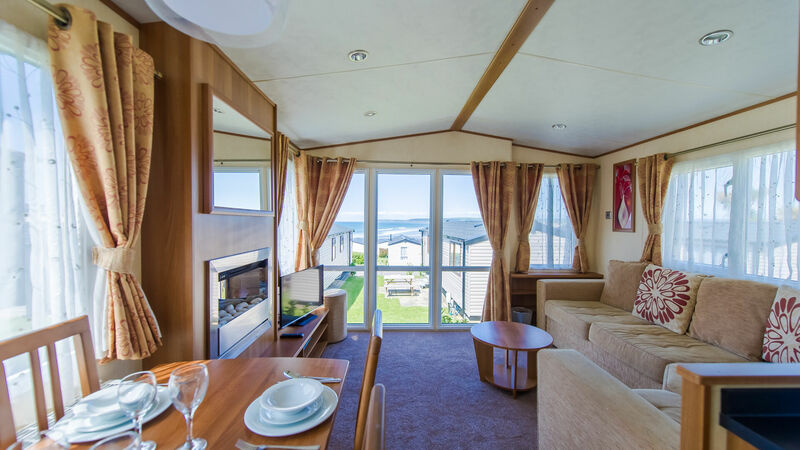 Our Puffin holiday homes are a real treat for those of you looking for a holiday by the sea. 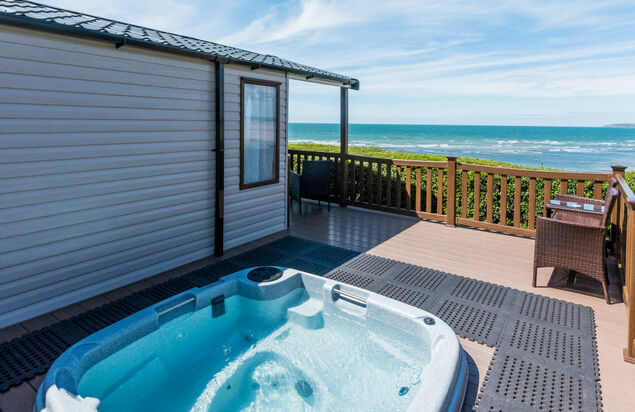 These centrally heated caravans have prime position on the park and have their own private covered terrace with hot tub where you can soak away your troubles whilst watching the tide come in. 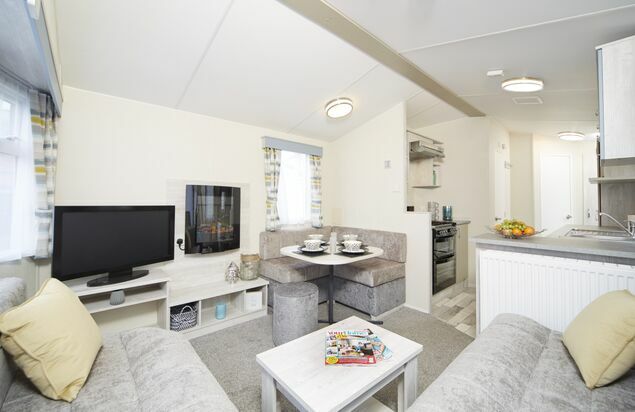 These centrally heated holiday homes are super modern with open plan lounge/dining area that provides you with plenty of comfy seating along with TV, DVD player and Bluetooth speaker dock so there is plenty to keep you occupied after a busy day of sightseeing. 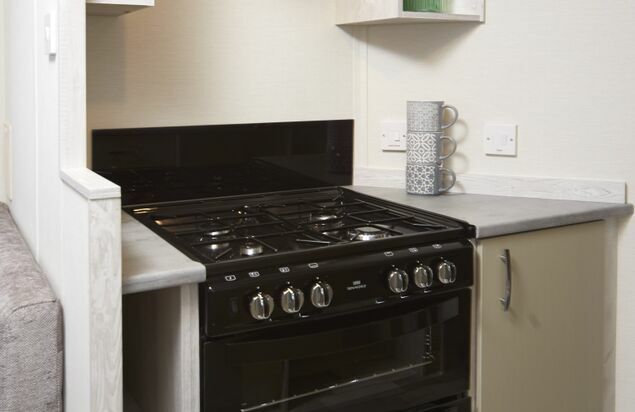 If you feel like cooking during your stay with us then you“ll feel right at home in the modern kitchen which is well equipped with all your essentials including microwave, toaster and plenty of utensils and crockery. 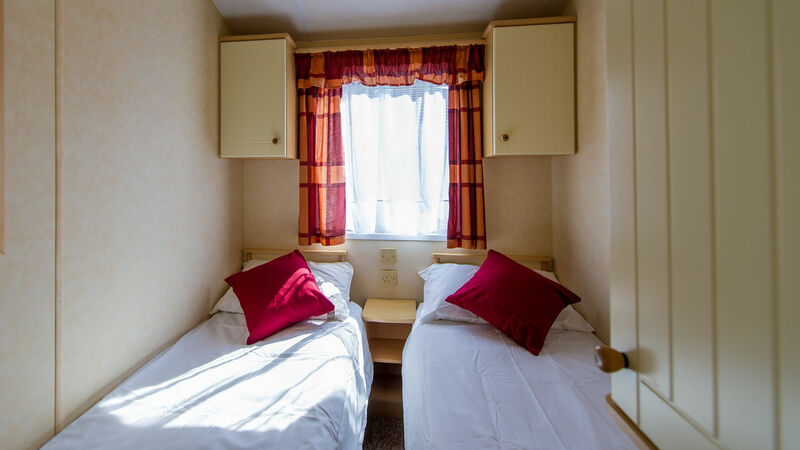 Our Puffin accommodation boasts two lovely bedrooms, one double bedroom with ensuite WC and a twin bedroom. 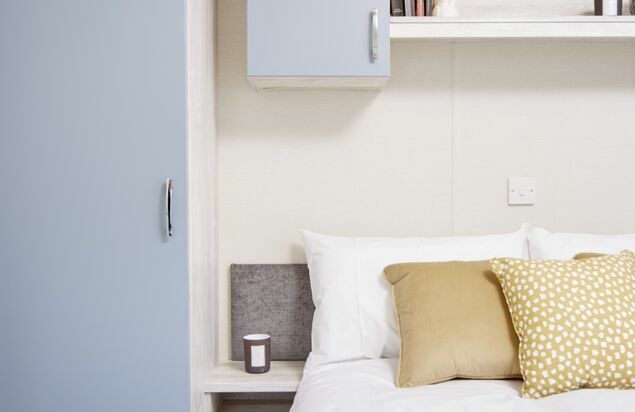 Pillows, duvets and bed linen is provided. 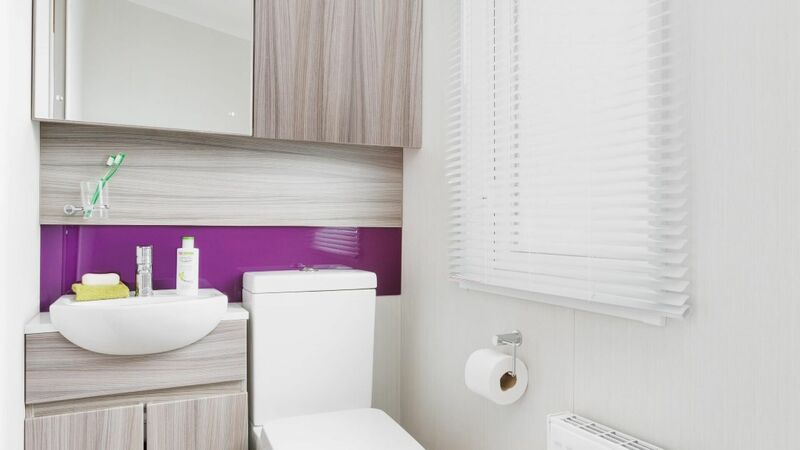 The family shower room is bright and clean with spacious shower cubicle, wash basin and WC. 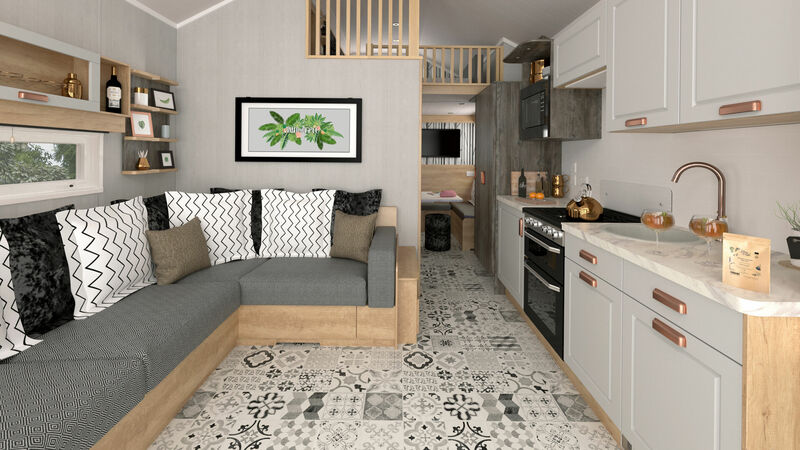 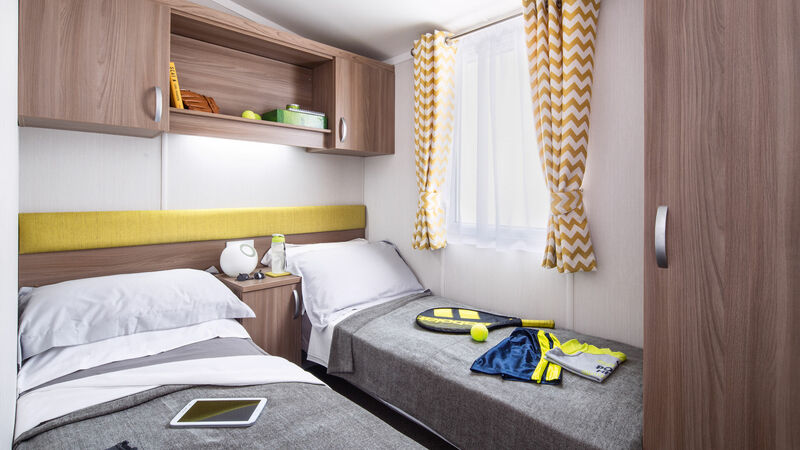 Our Swan 32 centrally heated holiday homes are really popular with young and old thanks to the modern, open plan living area which makes the most of all the space that this holiday home has to offer. 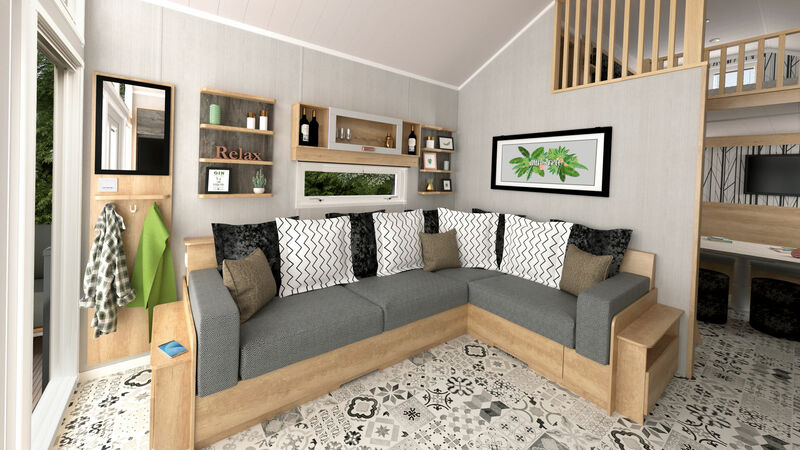 The lounge area provides you with a host of features including a TV, DVD player and Bluetooth speaker dock and lovely views of the park and beyond and all can be enjoyed whilst putting your feet up. 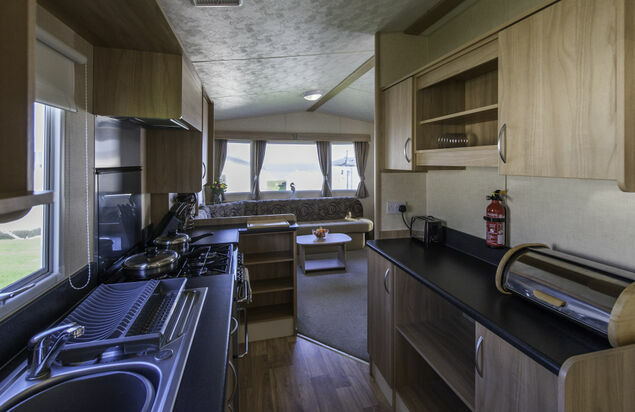 The kitchen is fitted with quality units and a range of appliances and crockery. 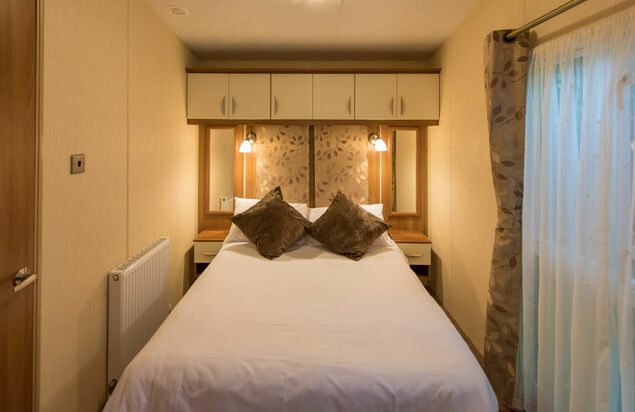 There are two stylishly decorated bedrooms in our Swan 32 caravans, there is a double bedroom with ensuite WC and a twin bedroom. 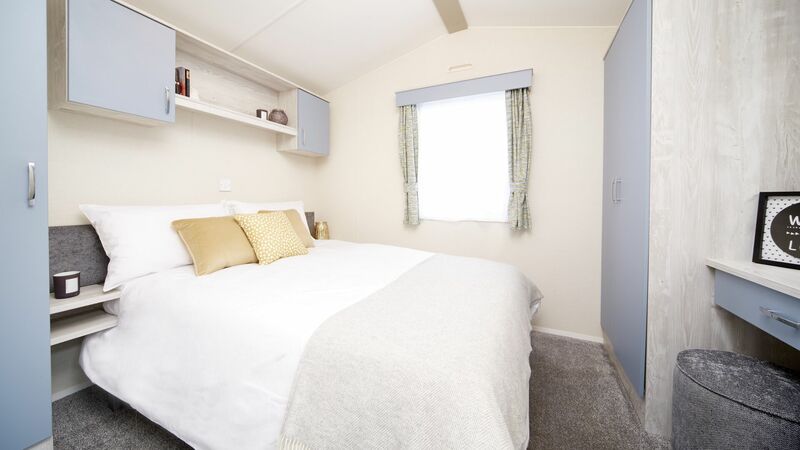 Pillows, duvets and bed linen is provided. 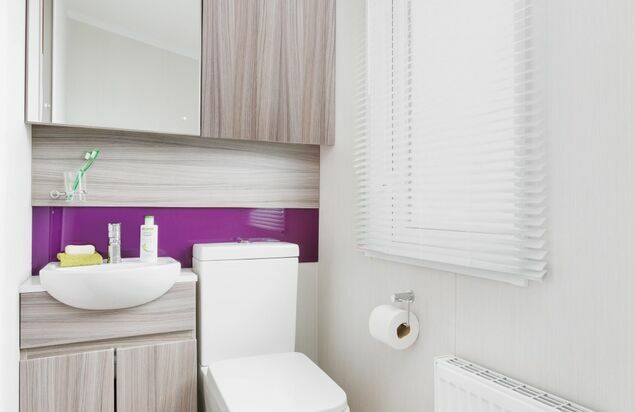 There is also a family shower room for your convenience. 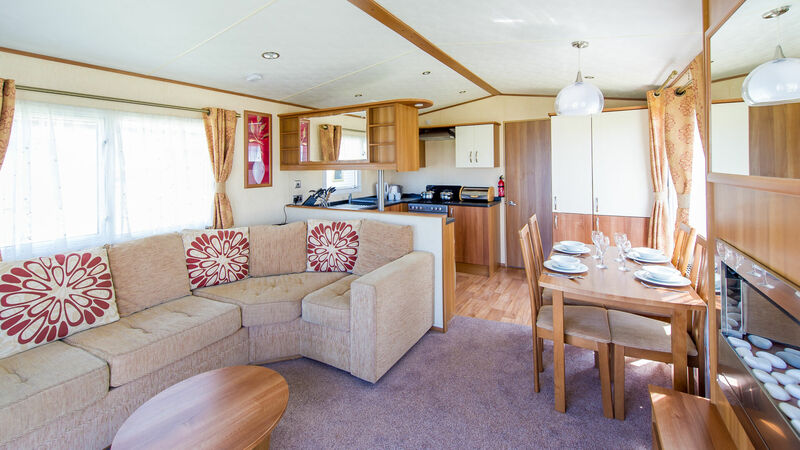 Our Heron holiday homes are centrally heated and provide a great base for your holiday especially for those larger families. 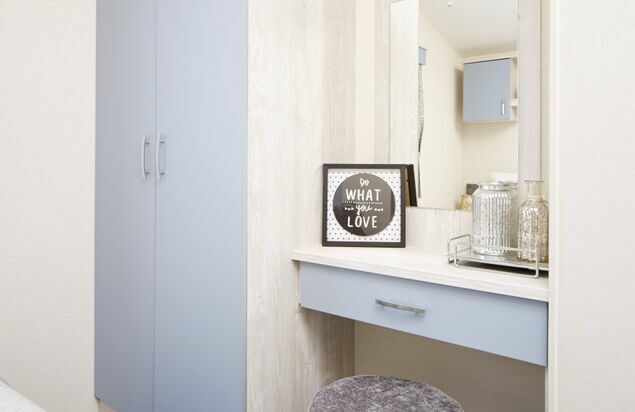 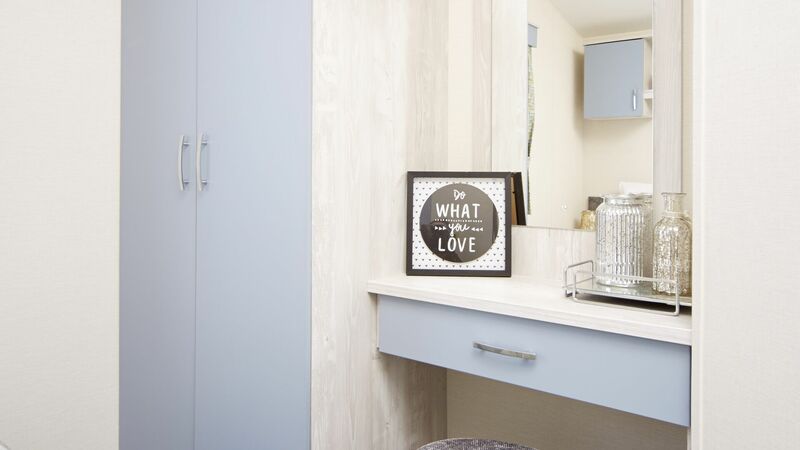 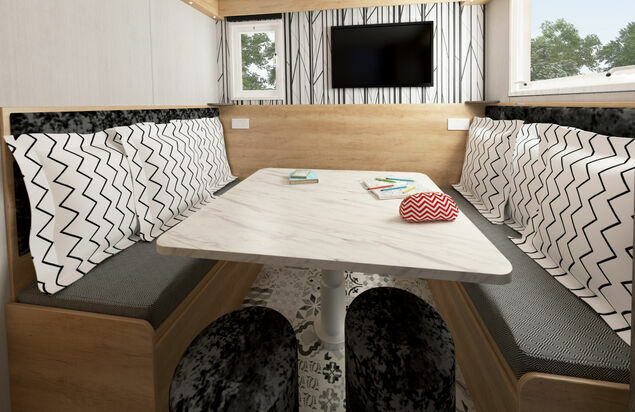 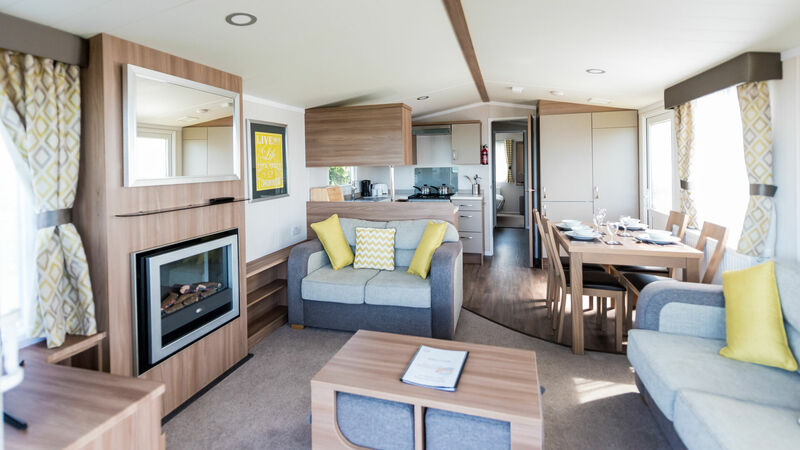 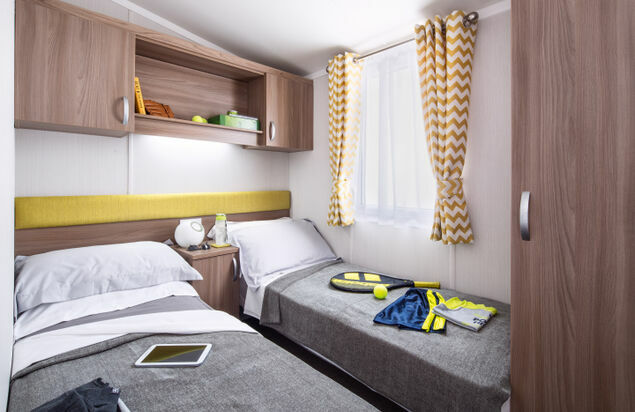 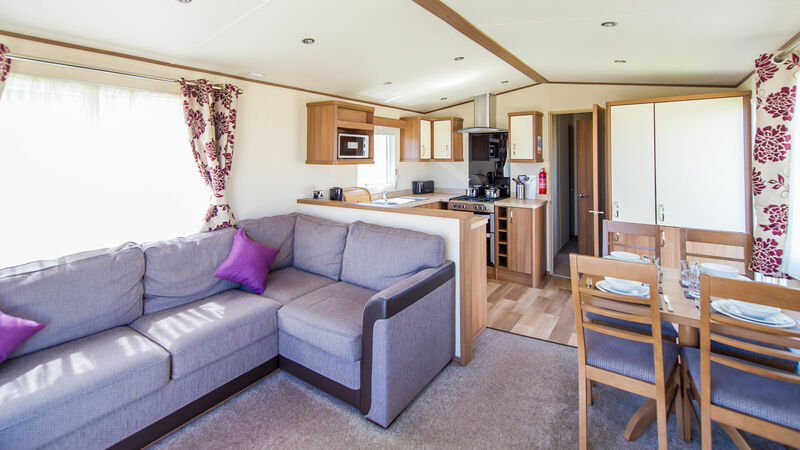 These bright and airy caravans offer plenty of space, open plan living area complete with TV, DVD player and Bluetooth speaker dock and a fully equipped stylish kitchen making them everything you need for today“s modern families. 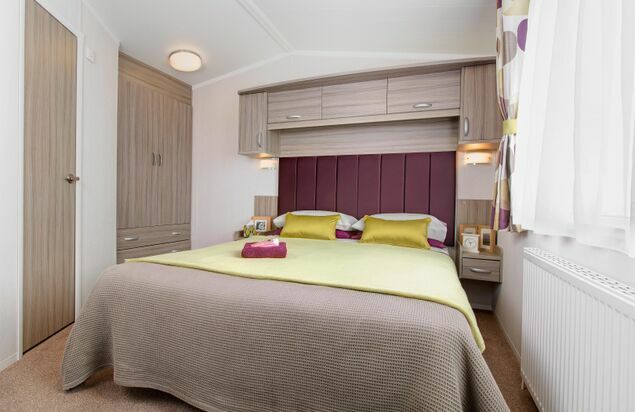 Our Heron accommodation has three bedrooms which include a double bedroom and two twin rooms. 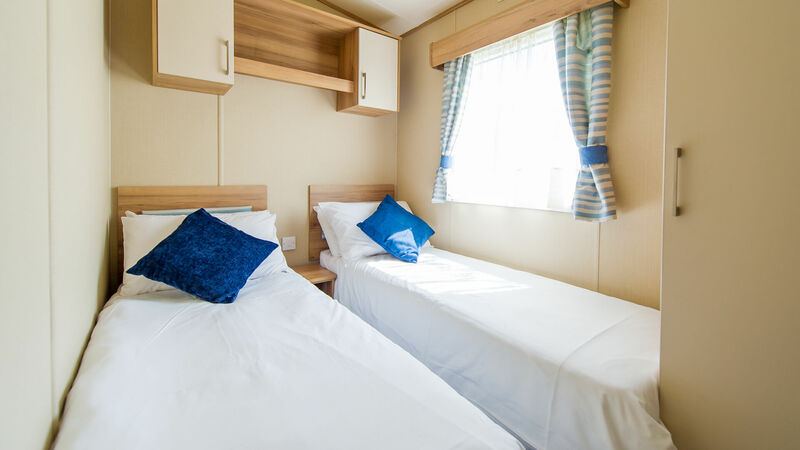 Pillows and duvets are provided and bed linen can be supplied for a small additional charge. 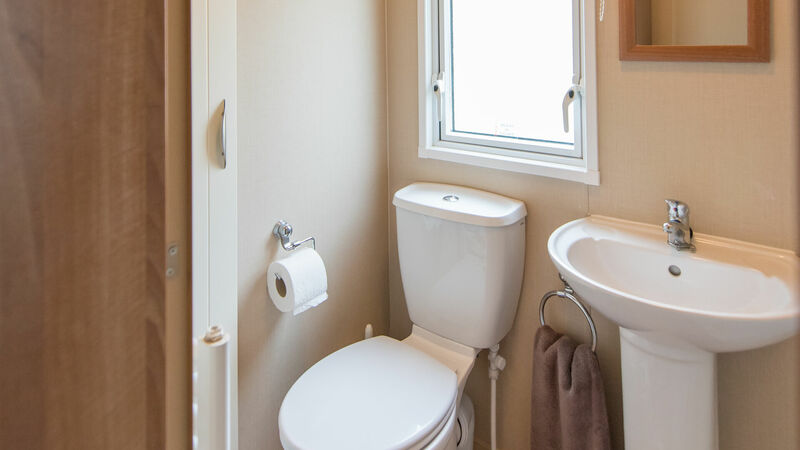 As these holiday homes cater for larger families, for your convenience there is a family shower room which has a spacious shower cubicle, wash basin and WC and there is also another separate WC. 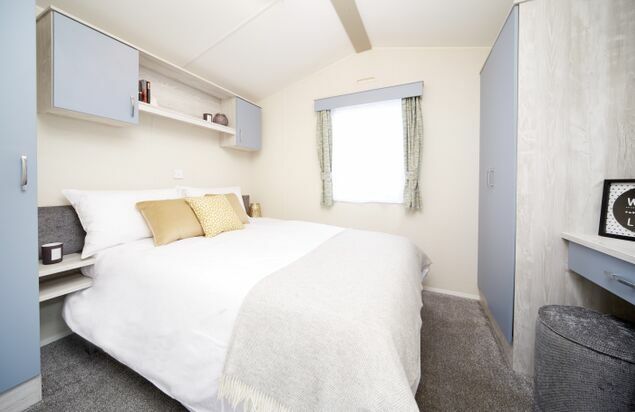 Our cosy Lapwing EW Dog Friendly accommodation offer great variety and all at a great price whilst still providing everything you would expect in a mid range holiday home plus you can bring the dog! 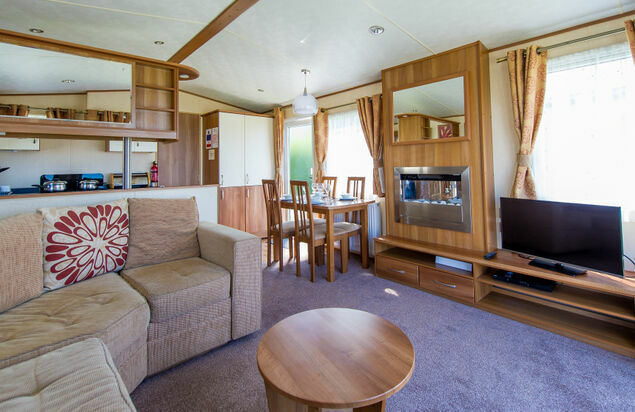 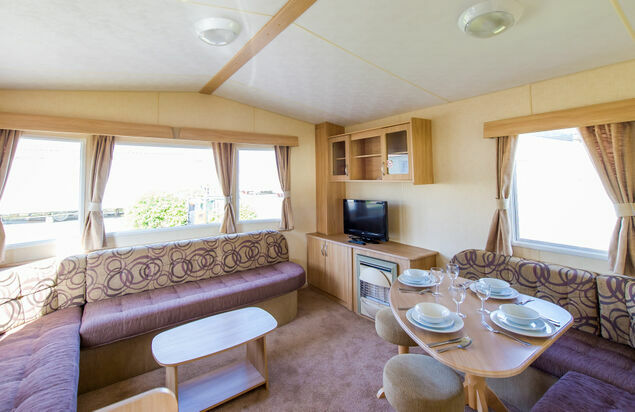 These centrally heated caravans boast a generous open plan living space with large bay window, a comfortable dining area and a pleasant kitchen complete with cooker, microwave, toaster and plenty of utensils and crockery. 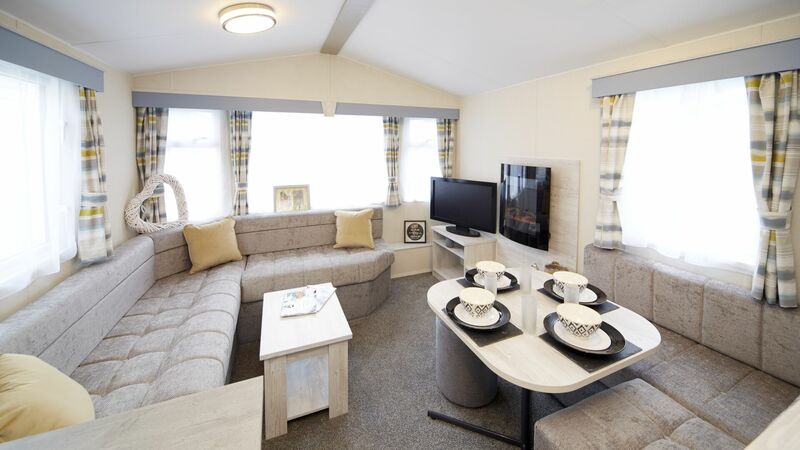 The two bedrooms are located to the rear of these holiday homes and there is one double and one twin room. 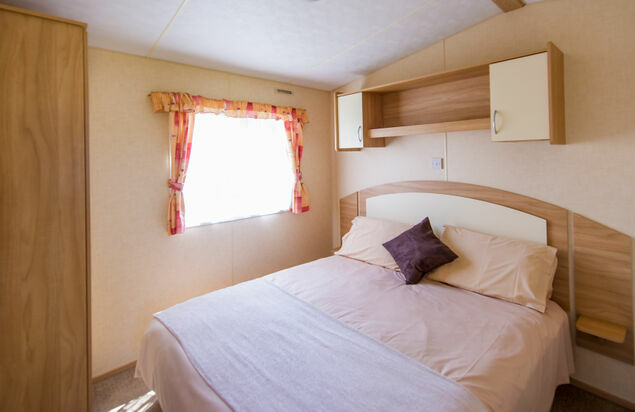 Pillows and duvets are supplied and bed linen can be supplied for a small additional charge. 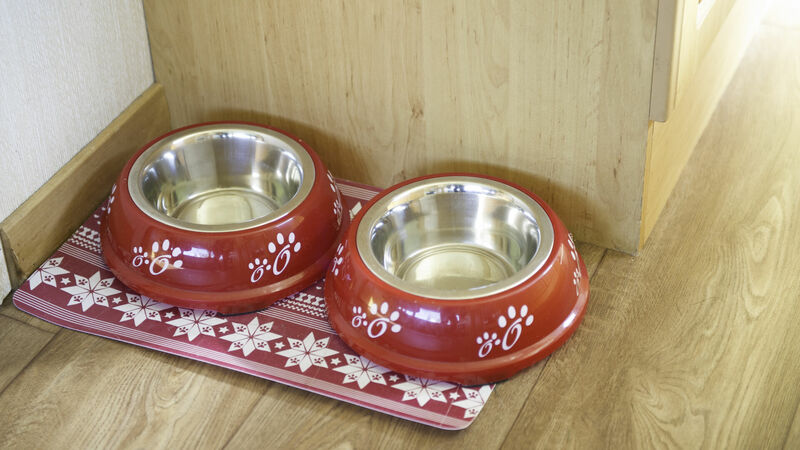 This accommodation is dog friendly. 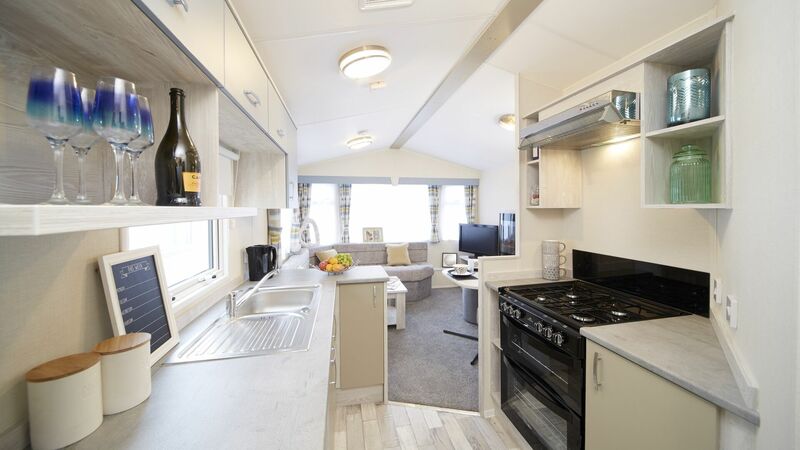 One dog is included in the cost of this holiday home. 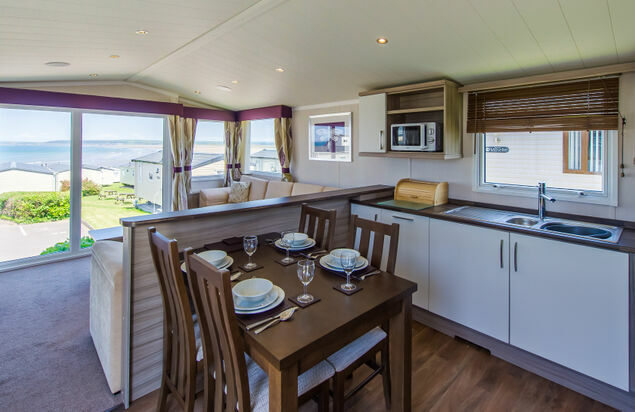 Our fantastic Lapwing Dog Friendly holiday homes are extremely popular with dog lovers and as one dog is included in the price they are good value for money. 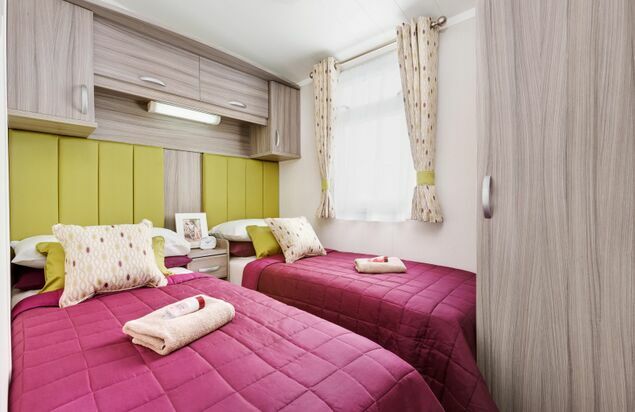 These caravans comfortably sleep up to four and have two bedrooms which consist of one double and one twin bedroom. 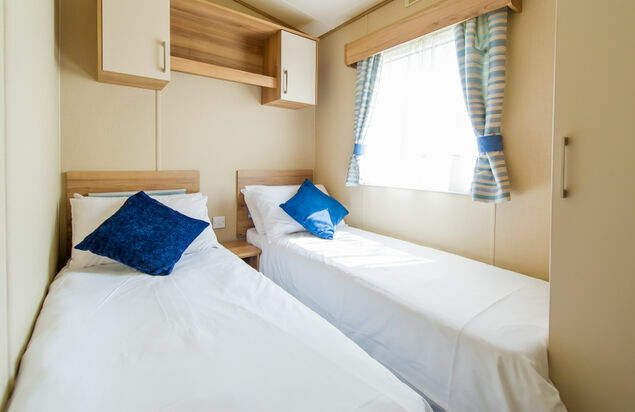 Pillows and duvets are provided and bed linen can be supplied for a small additional charge. 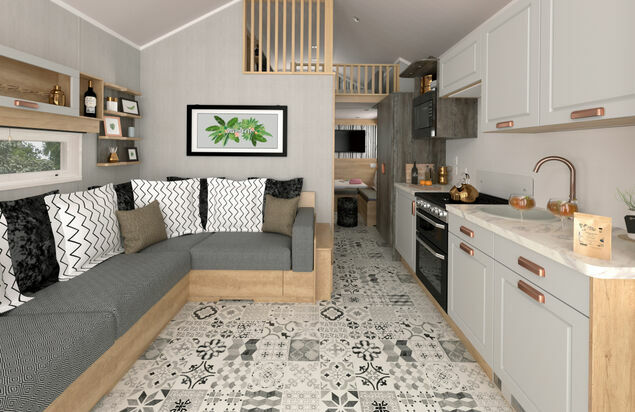 Our Lapwing Dog Friendly holiday homes have a great open plan living space which is so popular with today“s modern living. 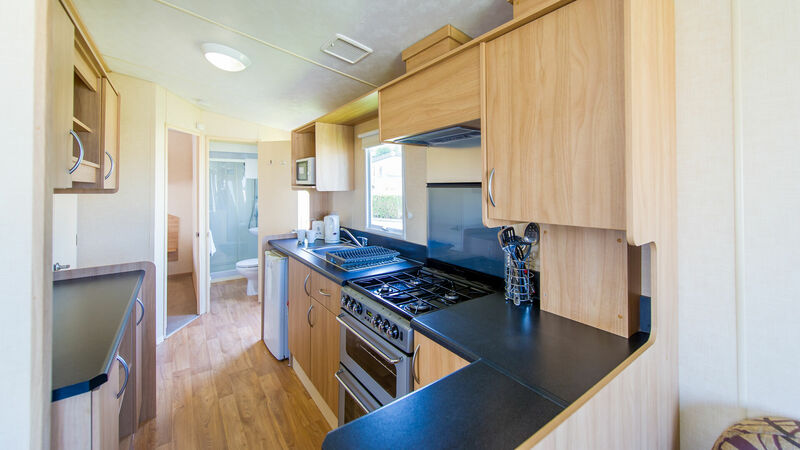 The kitchen area is clean and bright and boasts a cooker, fridge, toaster, microwave, utensils & cutlery. 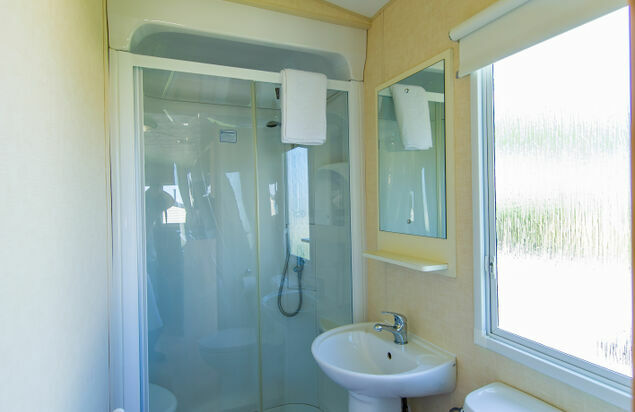 To the rear of the caravan is the twin & double bedroom along side the family shower room with shower cubicle, wash hand basin and WC. 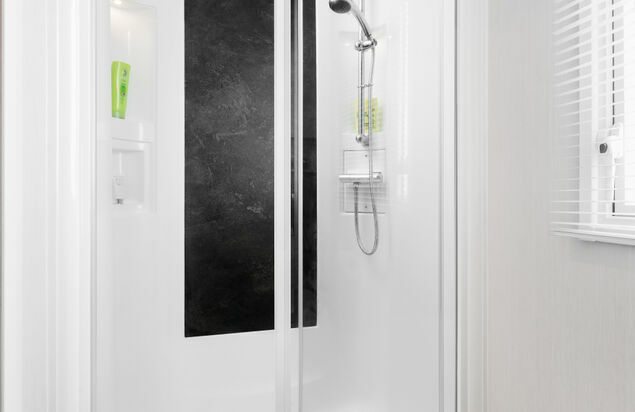 Panel heaters are available in the bedrooms and shower room. 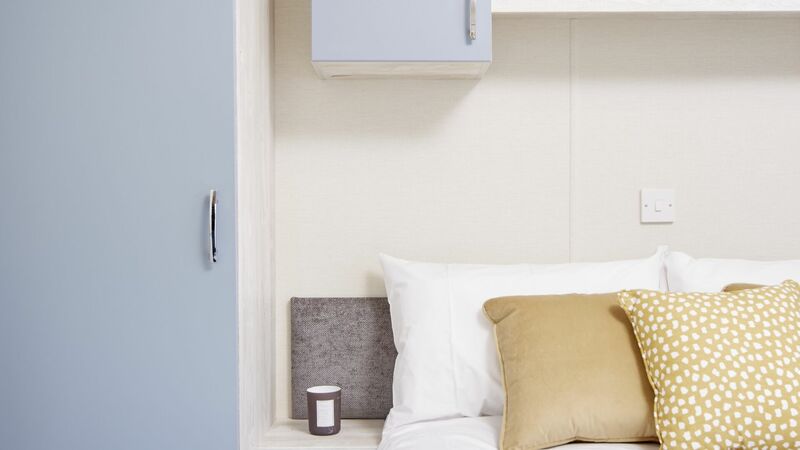 This accommodation is dog friendly. 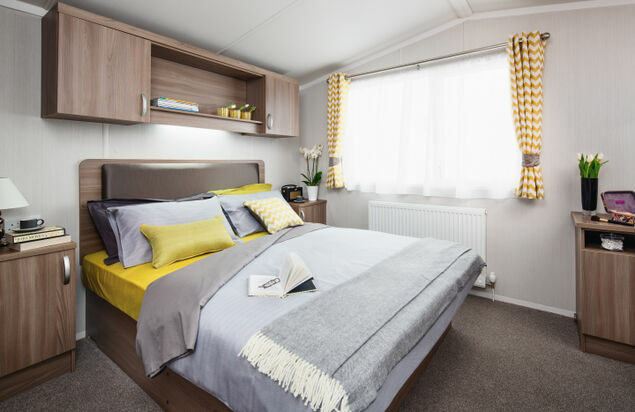 Our Lapwing EW holiday homes are a great wallet friendly option for those of you who are trying to save some pennies and have all the necessities you require in a modern holiday home. There is a cosy open plan living area with large bay window that provides plenty of natural light, a dining area where you can enjoy meals together and a well equipped kitchen. 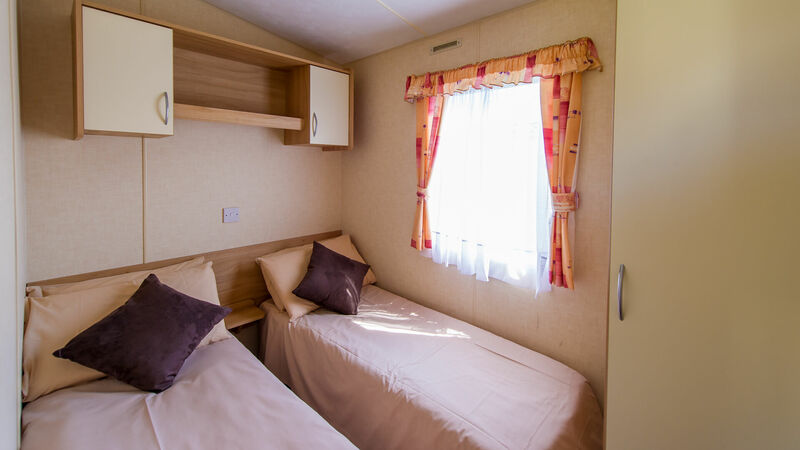 There are two bedrooms in our centrally heated Lapwing EW accommodation. 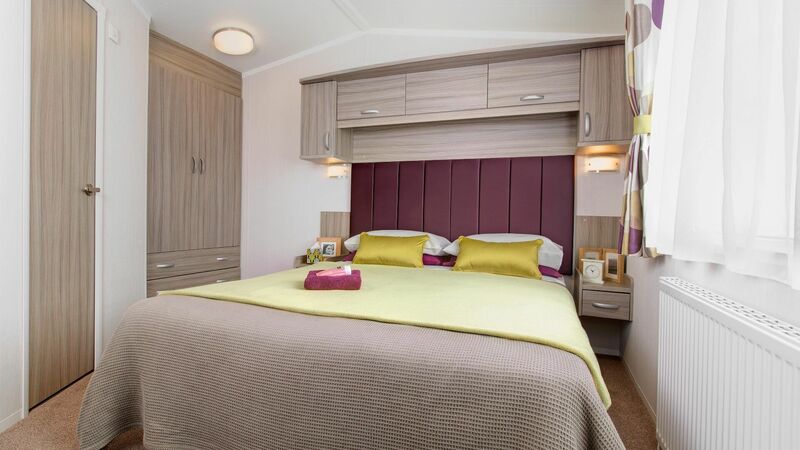 a double and a twin bedroom that you can retire to at the end of a busy day. 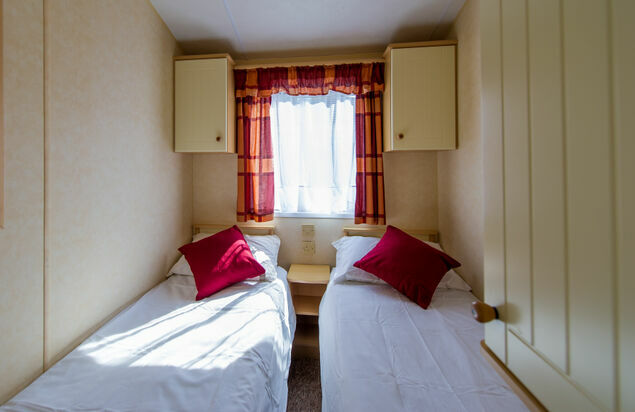 Pillows and duvets are provided and bed linen can be supplied for a small additional charge. 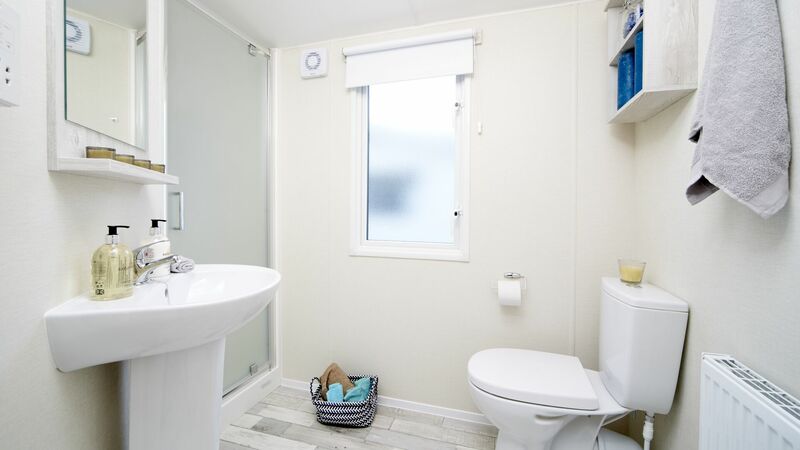 The family shower room has a shower cubicle, wash hand basin and WC and is clean and bright. 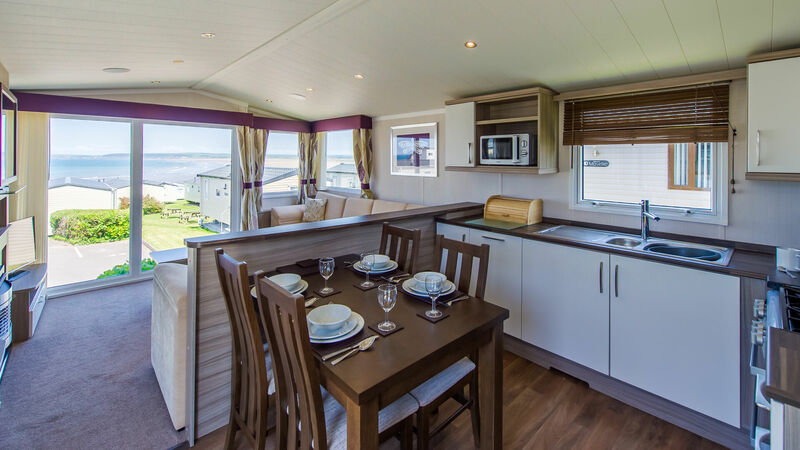 Our Lapwing holiday homes are bright and airy and have all of the essentials to ensure you have the ideal base for your holiday by the sea. 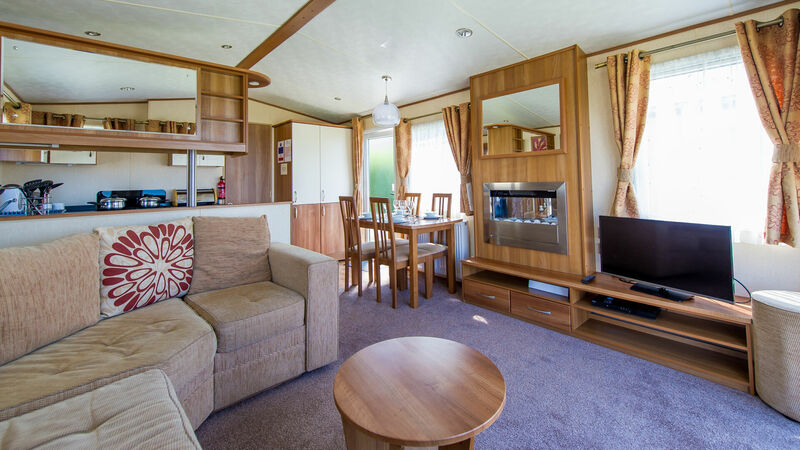 There is a superb open plan living space which is roomy and features L-shaped seating and gas fire. The dining area provides plenty of space for all of the family to eat together and the kitchen is well arranged with gas hob, oven, fridge freezer, microwave and an array of cooking utensils and crockery. 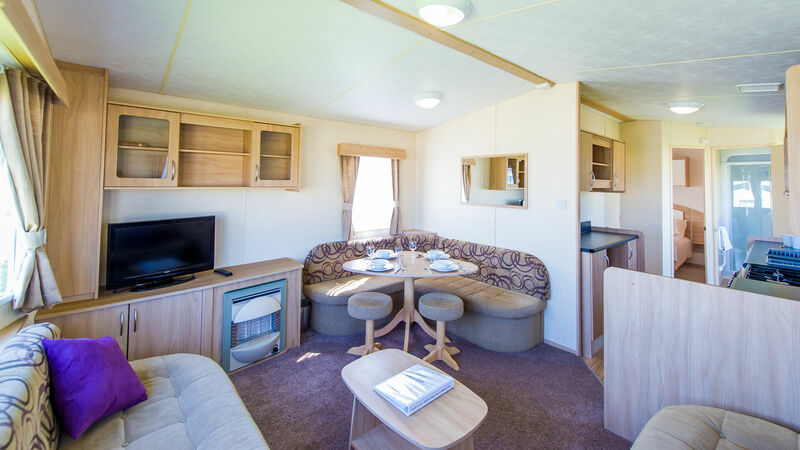 Our Lapwing range have two bedrooms, both with plinth heaters, one double and one twin room. 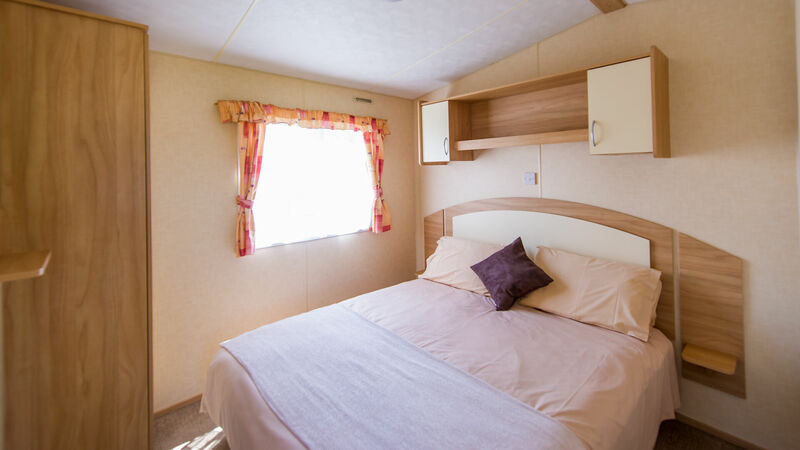 Pillows and duvets are provided and bed linen can be supplied at a small additional cost. 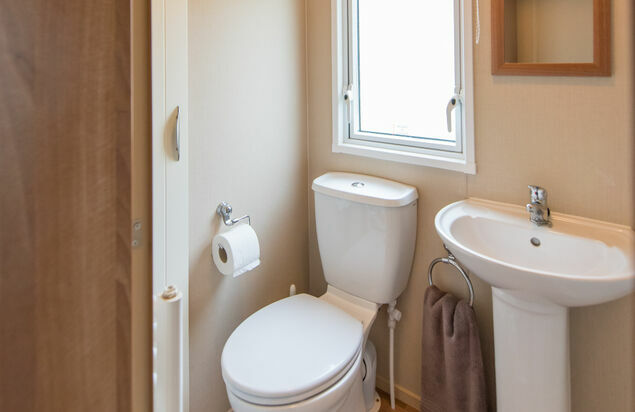 These holiday homes have a good size family shower room with shower cubicle, wash basin,WC and plinth heater. 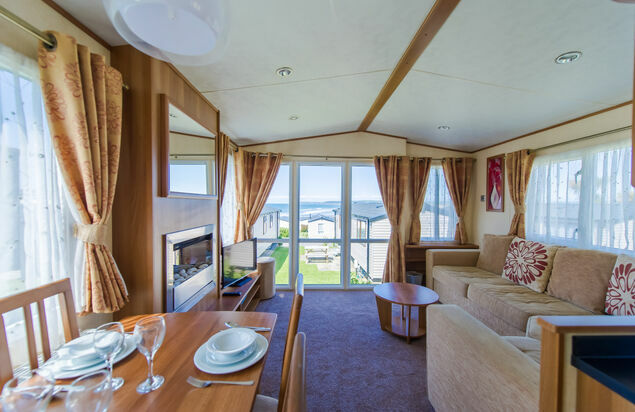 Our Sandpiper holiday homes provide real comfort along with a modern and stylish living area, well arranged kitchen and two comfy bedrooms. 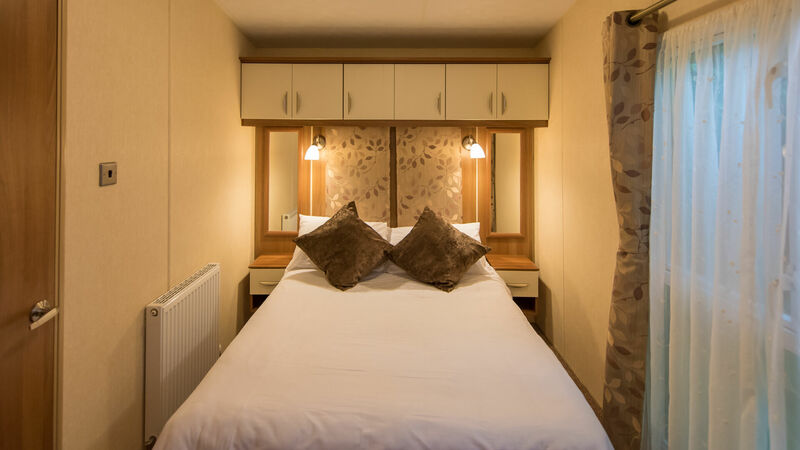 All rooms are heated and the open plan living area is tastefully furnished with elegant soft furnishings, comfortable seating, TV and dining table to one corner. 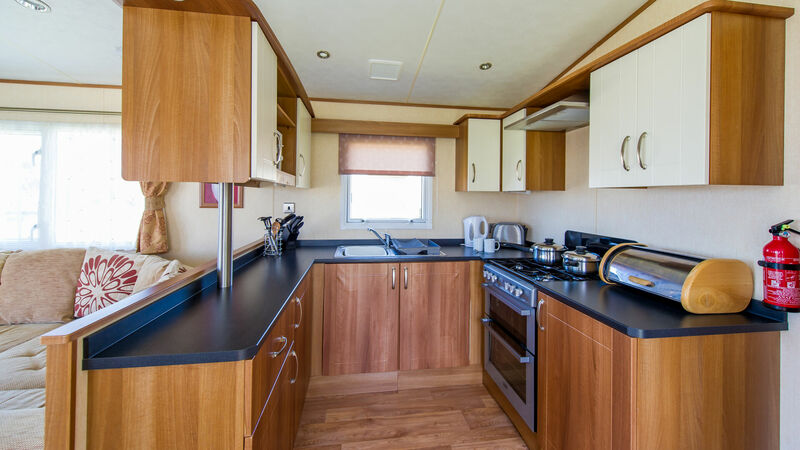 The galley kitchen area is fitted with a comprehensive range of modern units and is well equipped with cooker, fridge, toaster, microwave, utensils & cutlery. 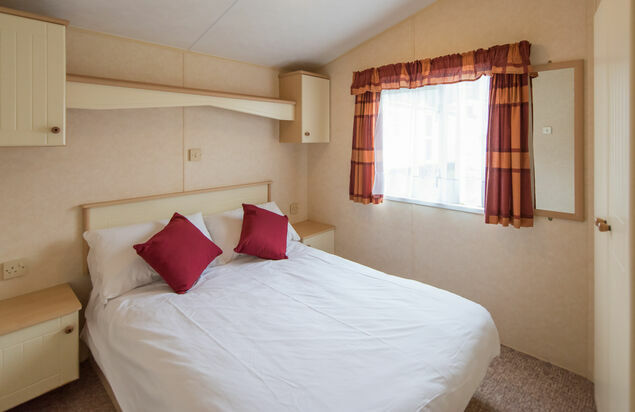 There are two bedrooms in our Sandpiper accommodation, one double and one twin room which offer comfy beds and plenty of storage. 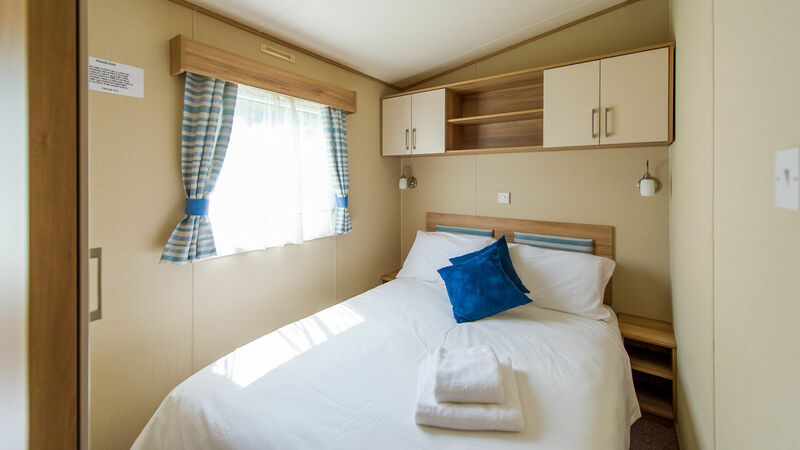 Pillows and duvets are provided and bed linen can be supplied at a small additional cost. 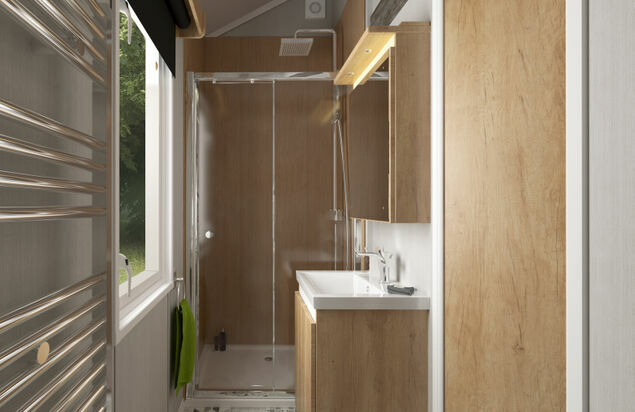 There is also a good sized family shower room. 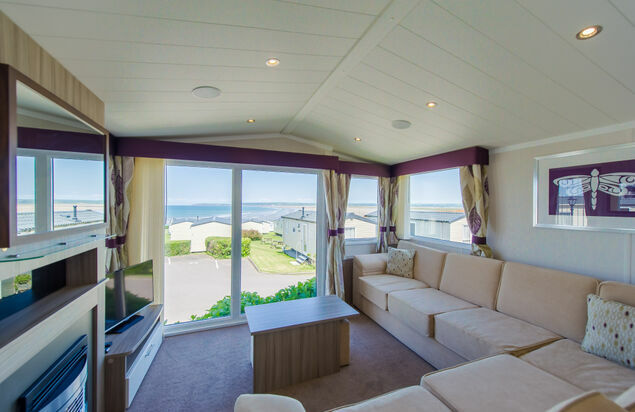 Our Seagull Extra Warm Dog Friendly holiday homes are fairly new to the park and are ideal for smaller families looking for great value for money. 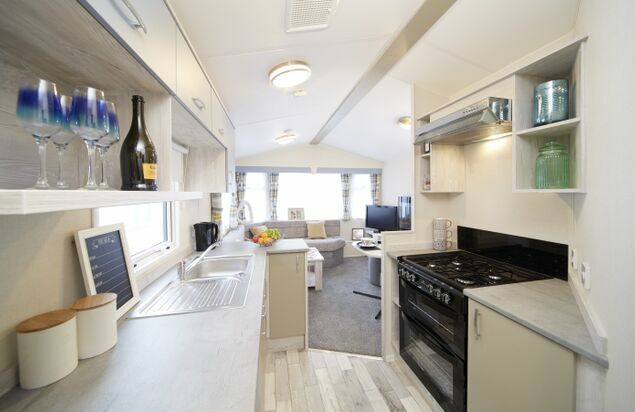 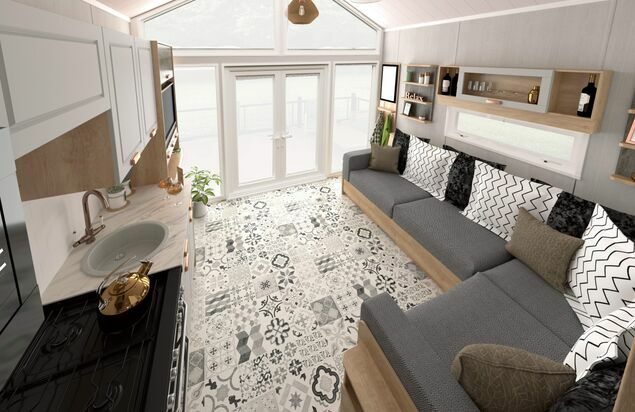 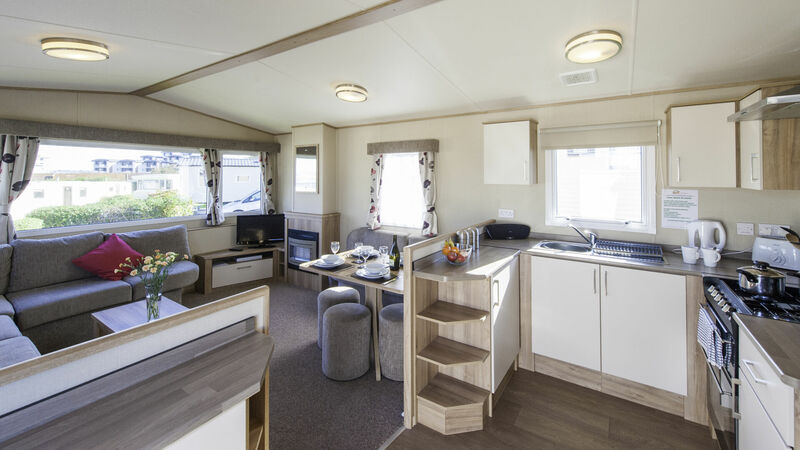 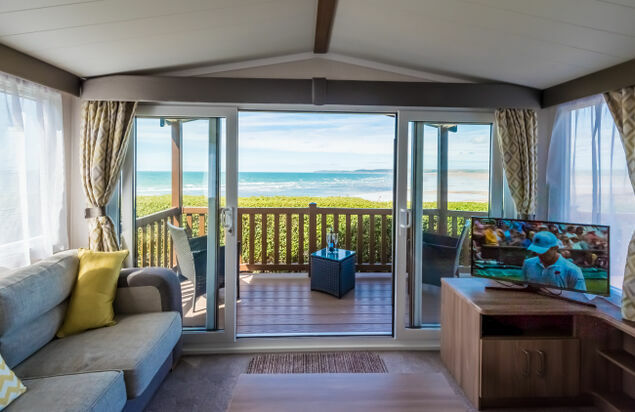 These centrally heated caravans are light and welcoming and provide a compact but stylish base from which you can explore everything that Westward Ho! 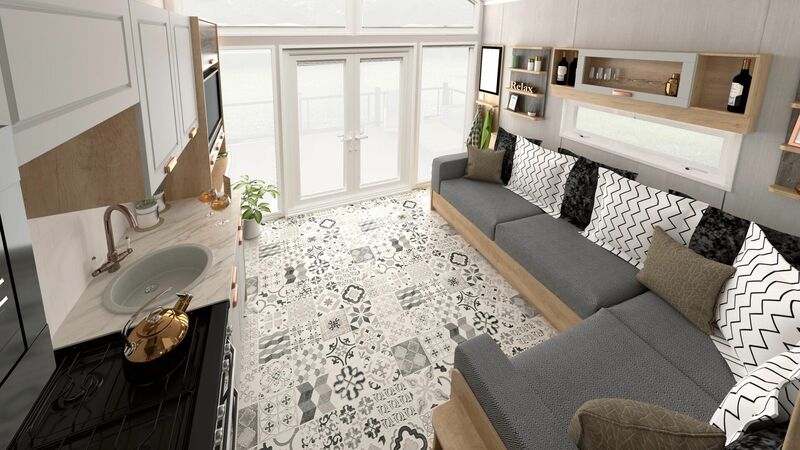 has to offer. 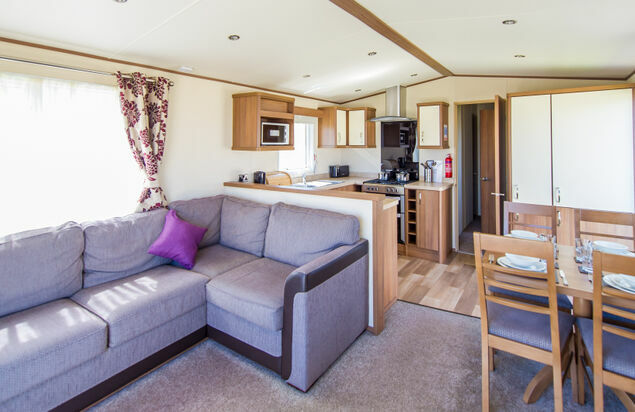 The open plan living area gives a real sense of space whilst the attractive soft furnishings make this space warm and inviting. 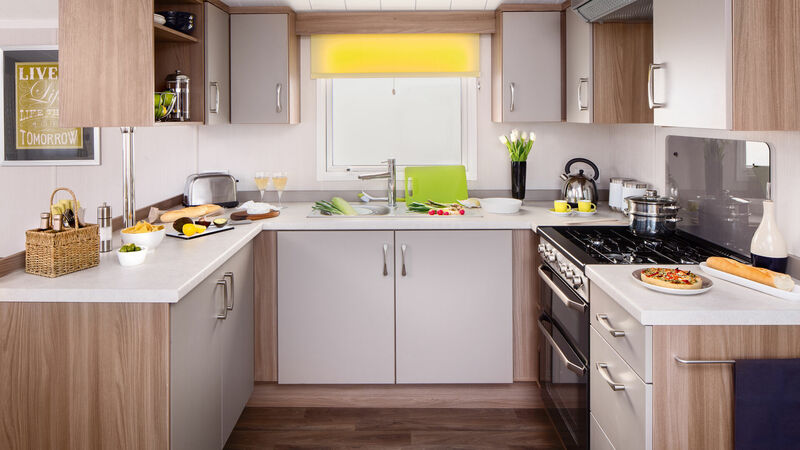 The lounge and dining area flow into the galley kitchen which boasts contemporary units alongside all of your essential appliances including an oven, hob, fridge freezer, microwave, utensils and crockery. 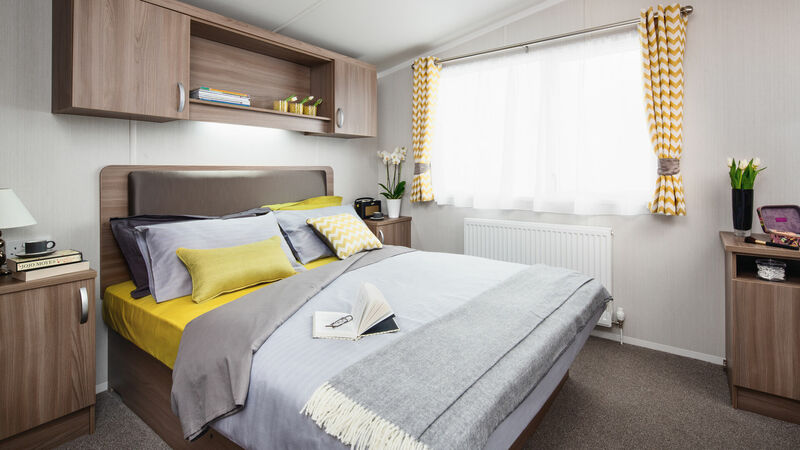 There is one bedroom in our Seagull Extra Warm Dog Friendly holiday homes which is minimalist and comes with pillows & duvets provided, bed linen is available at an additional cost. 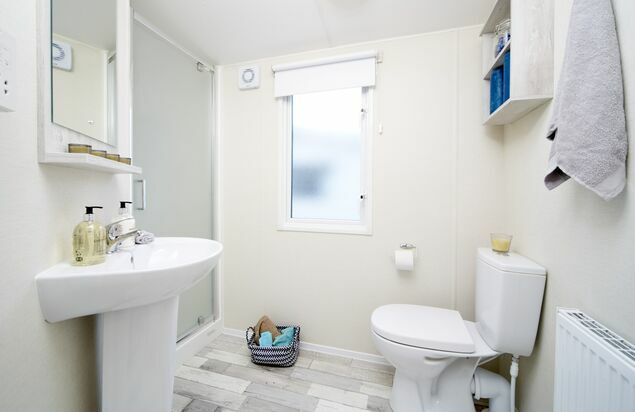 The family shower room is a good size and has a shower cubicle, wash hand basin and WC. 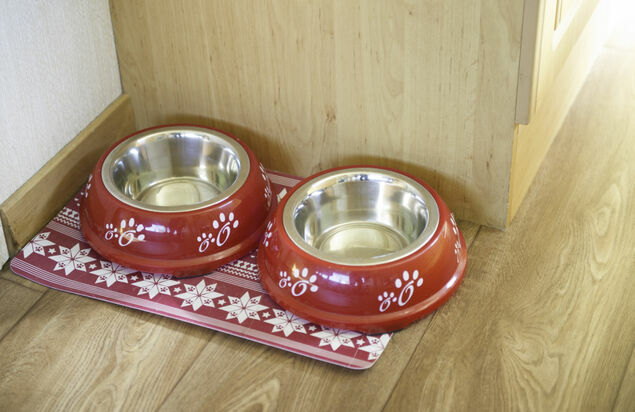 This accommodation is dog friendly. 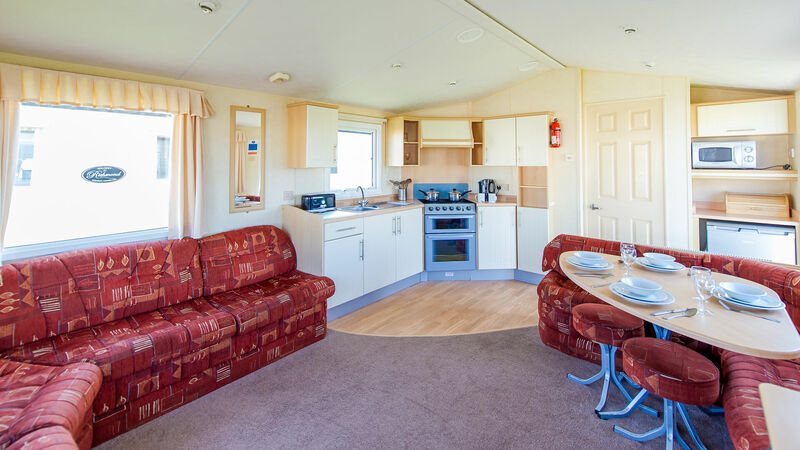 One dog is included in the price of this accommodation. 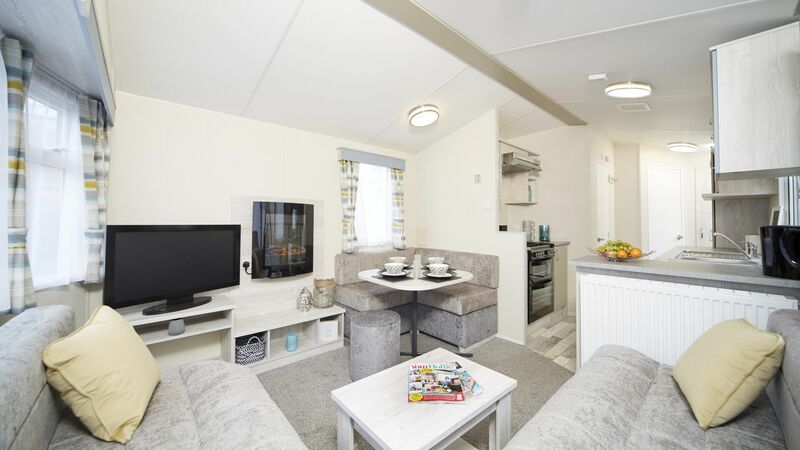 Our Seagull Extra Warm holiday homes are ideal for couples and small families looking for compact accommodation with contemporary fixtures and fittings. 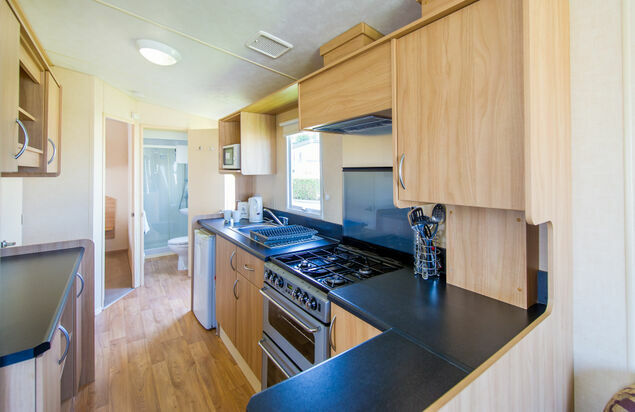 This one bedroom caravan has central heating so you“re guaranteed to be lovely and warm whatever time of the year you decide to visit us. 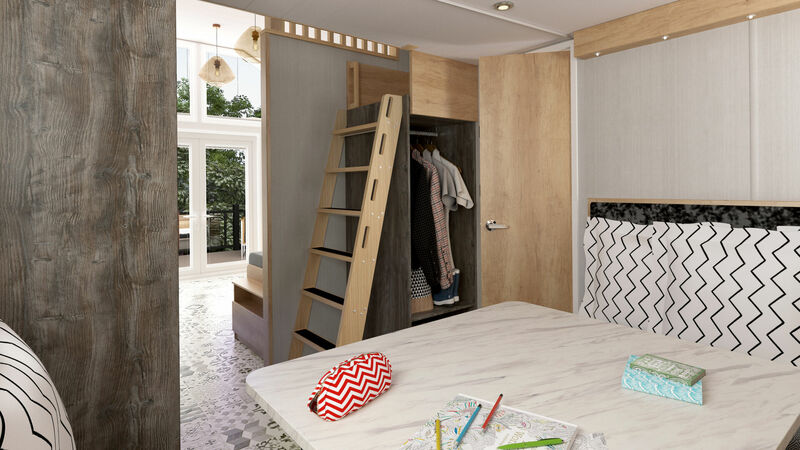 The bedroom has a double bed, wardrobe, drawers and a range of cupboards and shelves so you have plenty of storage. 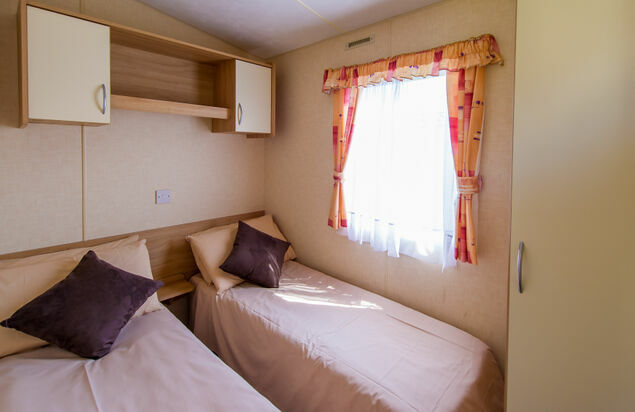 The living space has been beautifully decorated and furnished and provides you with plenty of room to relax and enjoy your free time. 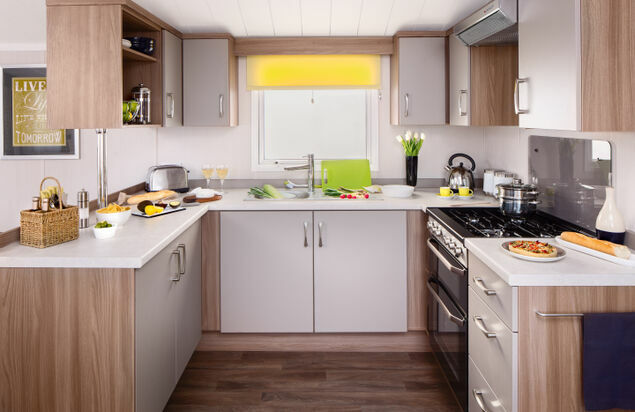 Cook yourself up a nice dinner in the well equipped, modern kitchen and when you“ve finished, leave the dining table and flake out on the comfy sofa and watch a bit of TV. 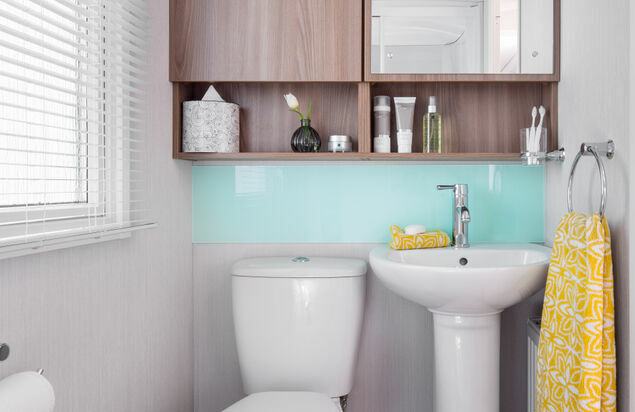 The family shower room is clean and bright and boasts a generous shower cubicle, wash basin and WC.